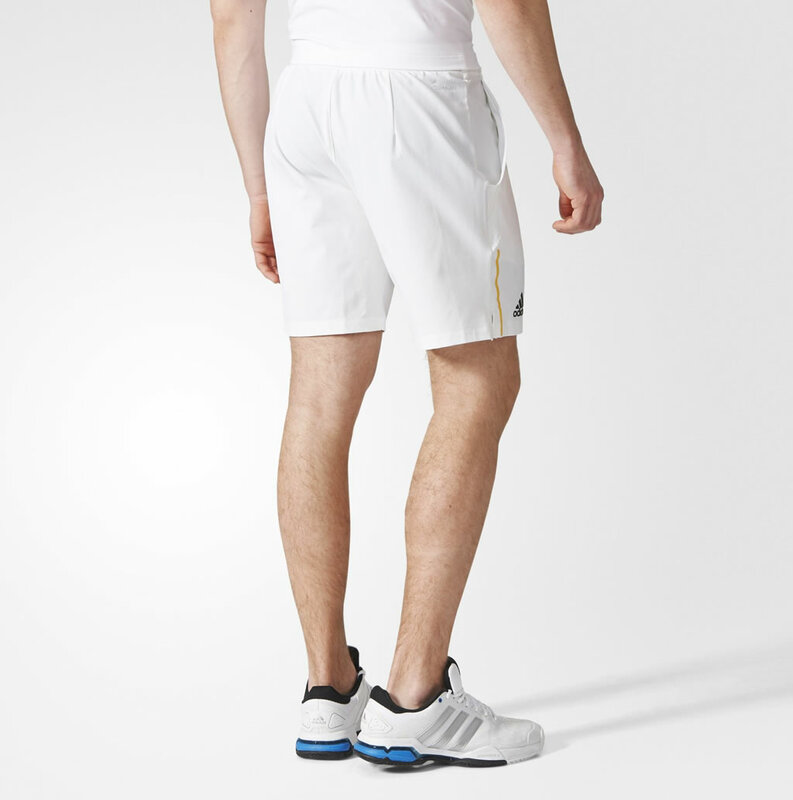 Tennis remains one of the most beautiful and elegant sports, which involves good reflexes, speed, strength, perspicacity, skill, grace and rhythm. 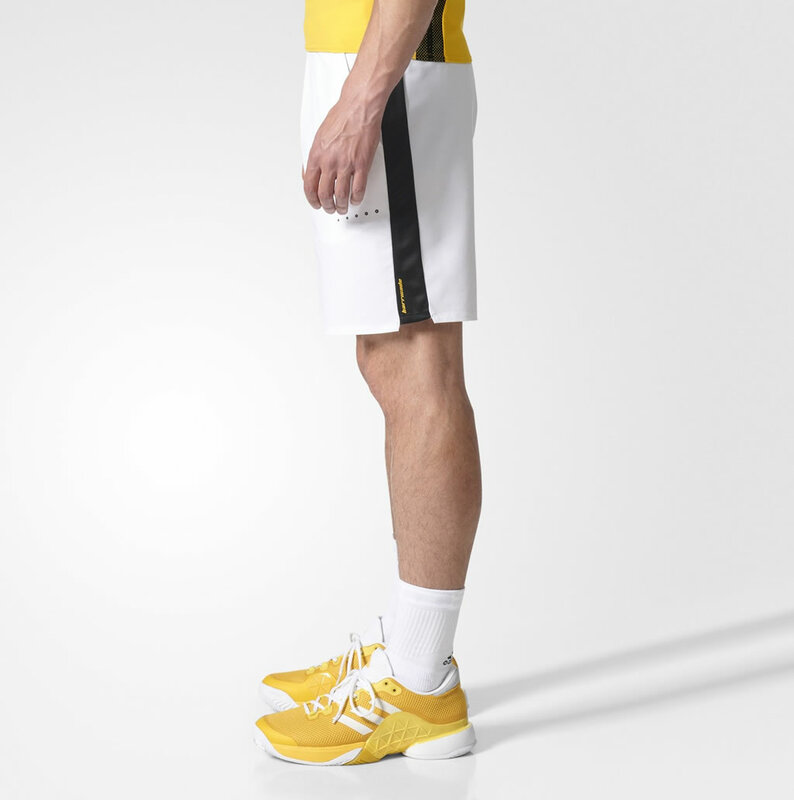 But, maybe the best thing about this sport is that it’s accessible to any age, so you don’t have to worry that you have reached adulthood and still don’t know to play tennis. 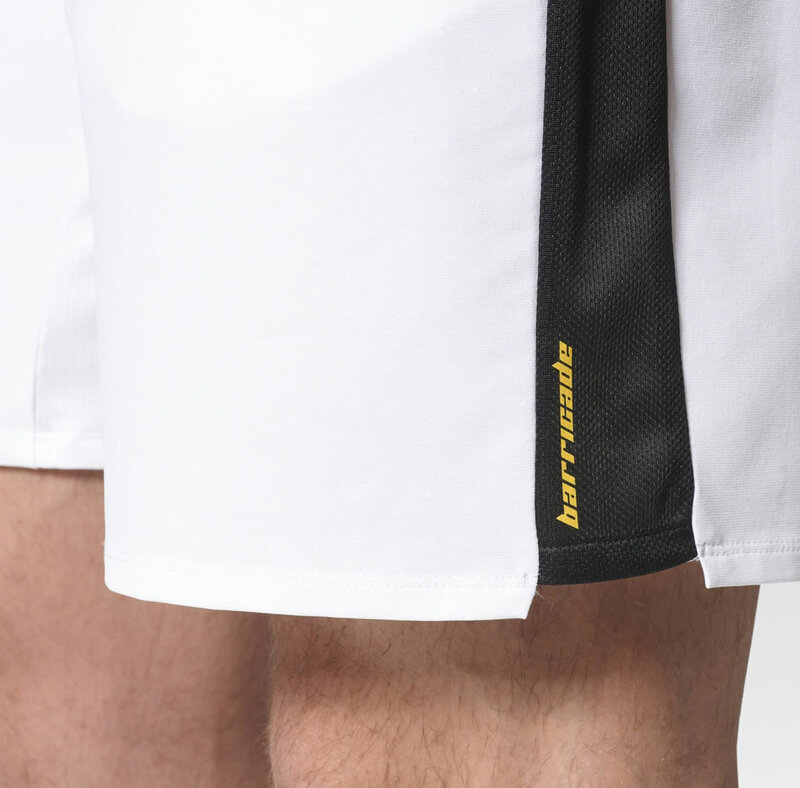 Still, whether you’re looking to become a pro or just a casual tennis player, it’s very important to invest in some high quality tennis gear, and today we’re going to focus on some amazing tennis shorts for men. 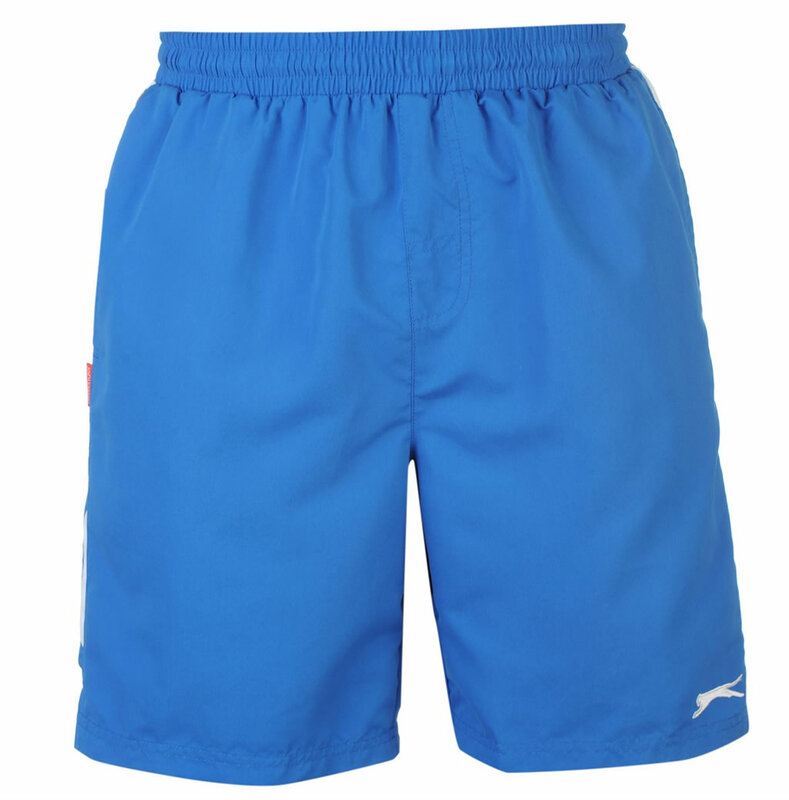 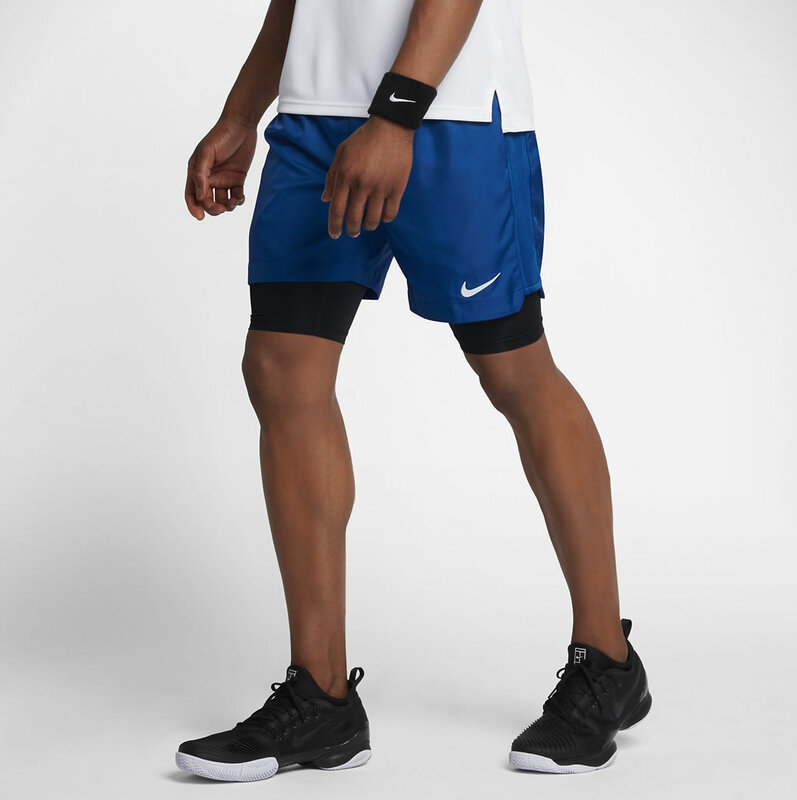 The following list includes best tennis shorts for men from reputable brands such as Nike, Asics, Lacoste and Adidas, so have a look and make sure that you will be well equipped for your next tennis session! 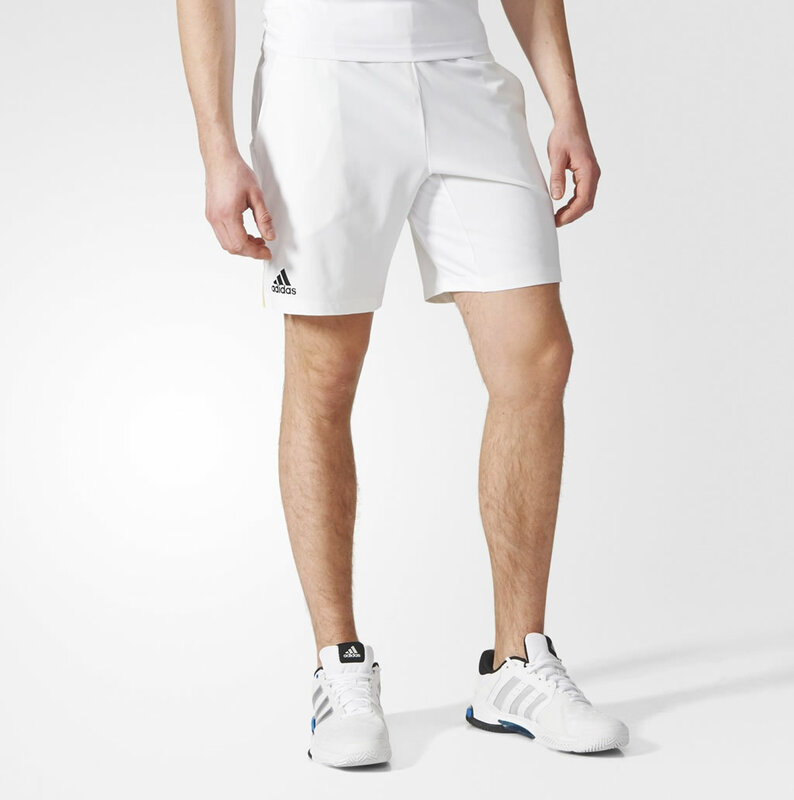 Starting off with an impressive pair of Adidas tennis shorts, we can tell you that the Barricade Bermuda Shorts are absolutely fantastic. 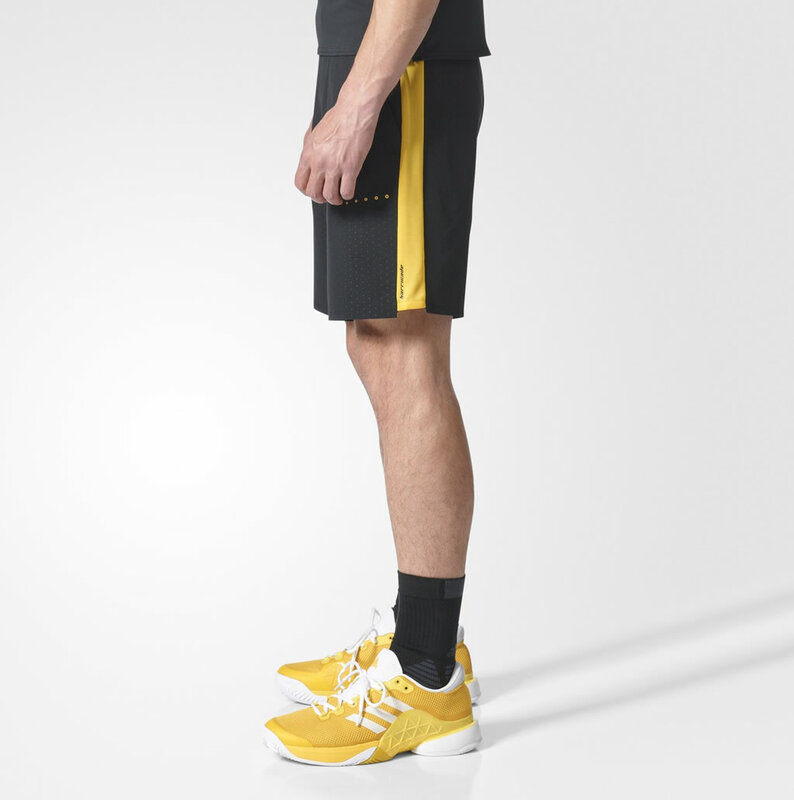 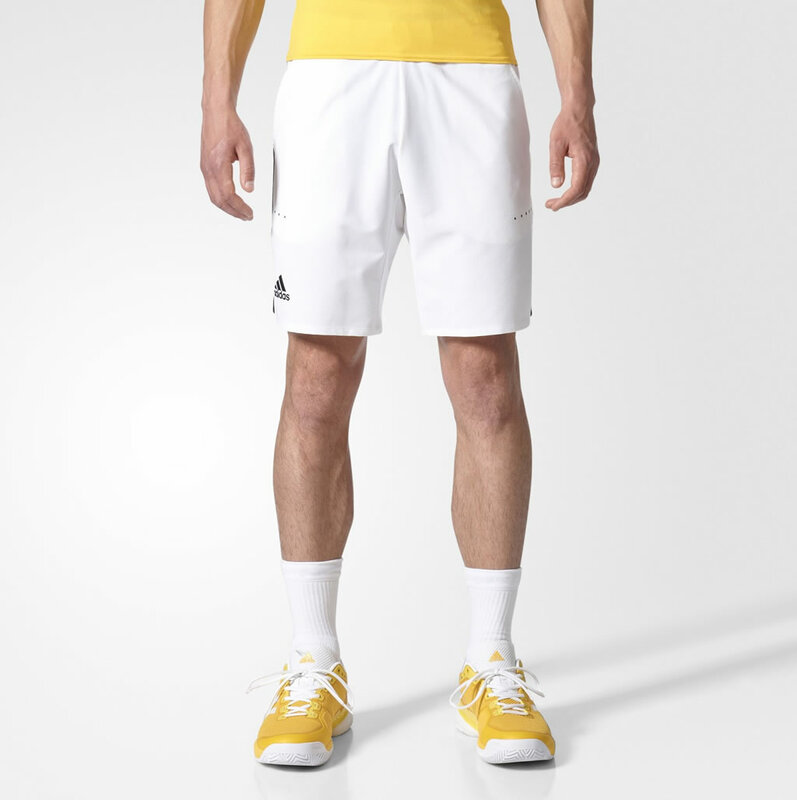 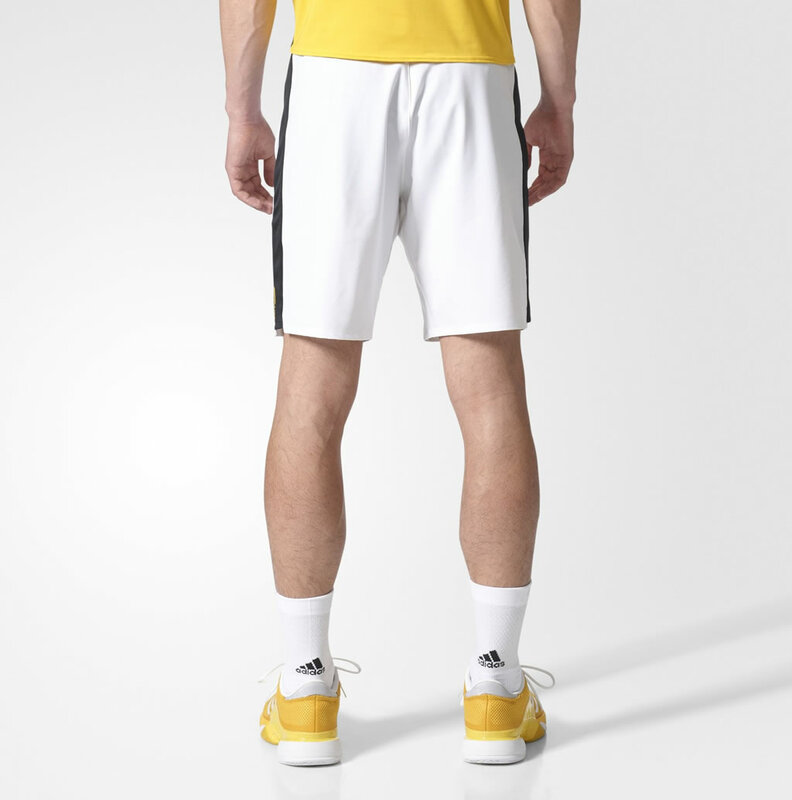 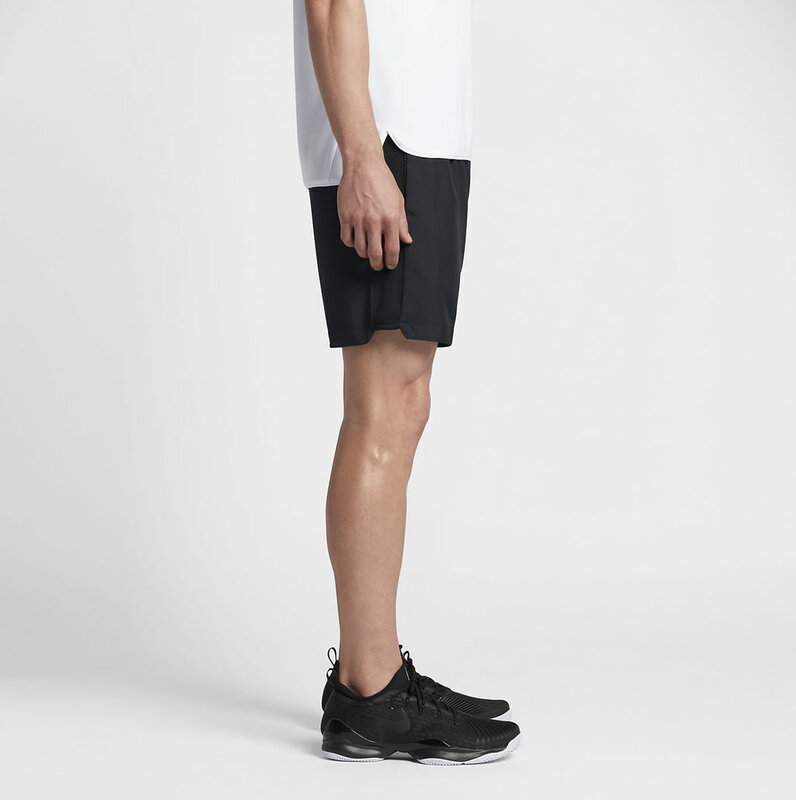 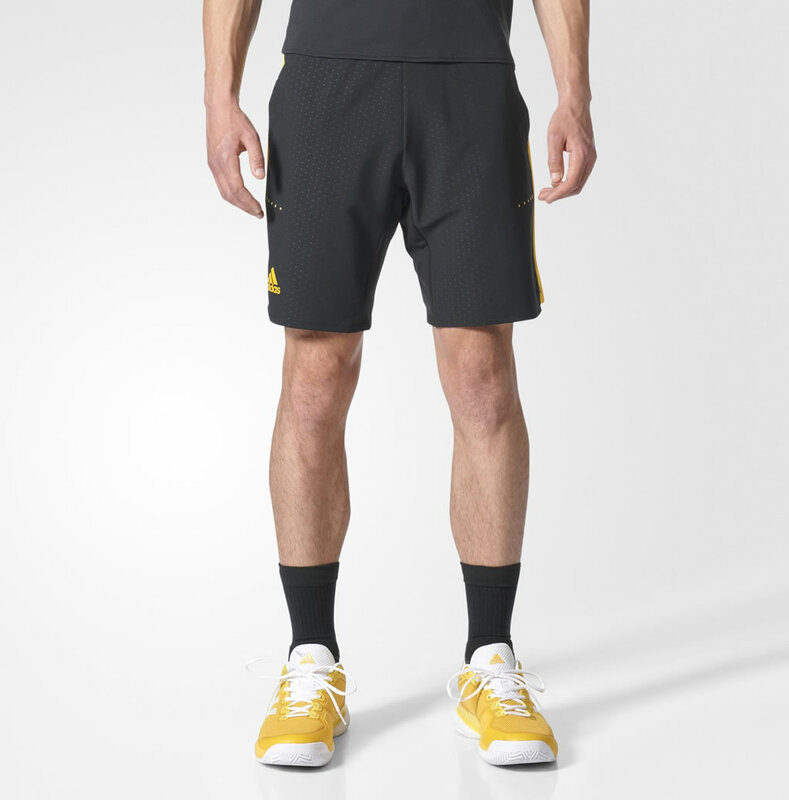 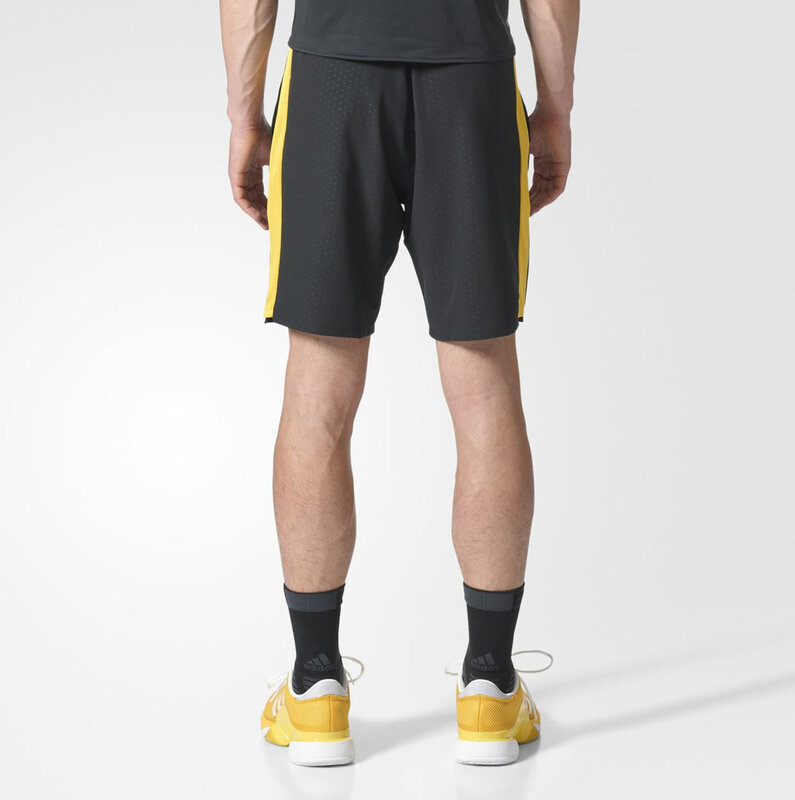 Available in various colorways such as Black/Eqt Yellow and White/Black, these tennis shorts with front pockets include Adidas’ own climacool technology that keeps the wearer dry, cool and cozy at all times, as the stretchy woven fabric with contrast laser cutouts on the sides supports freedom of movement. 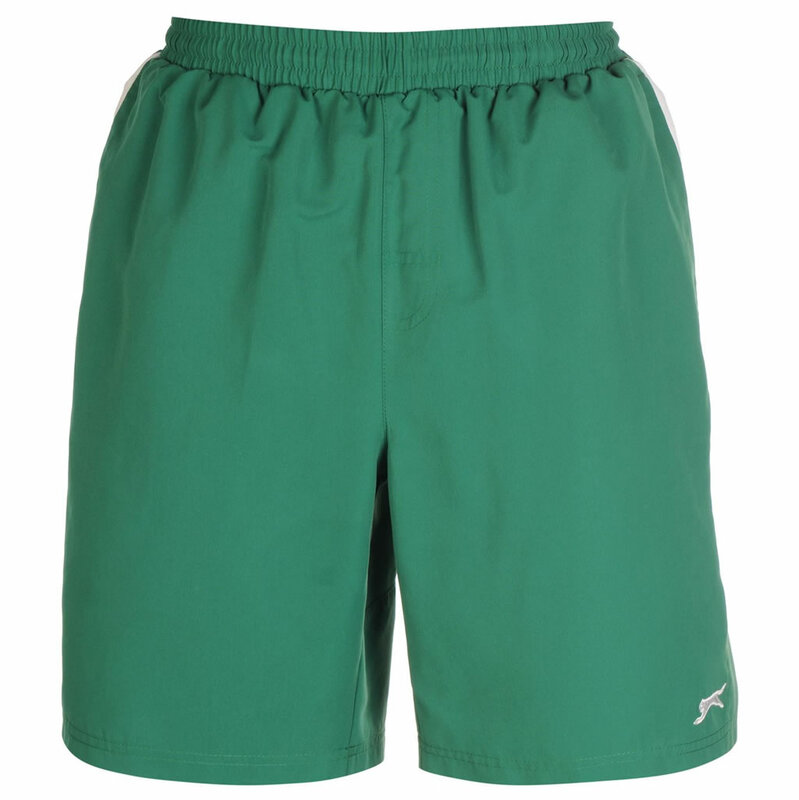 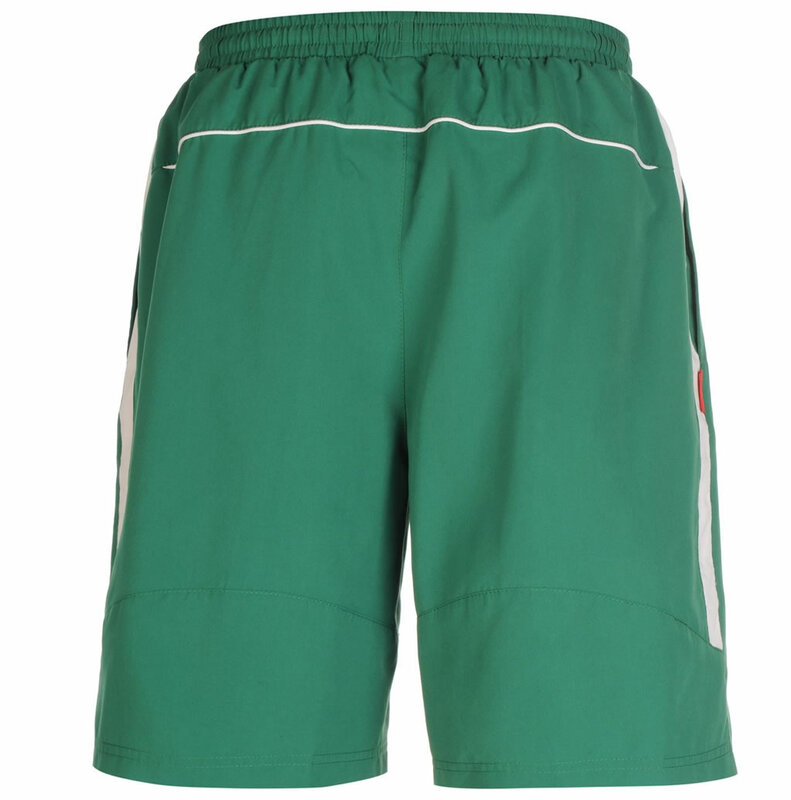 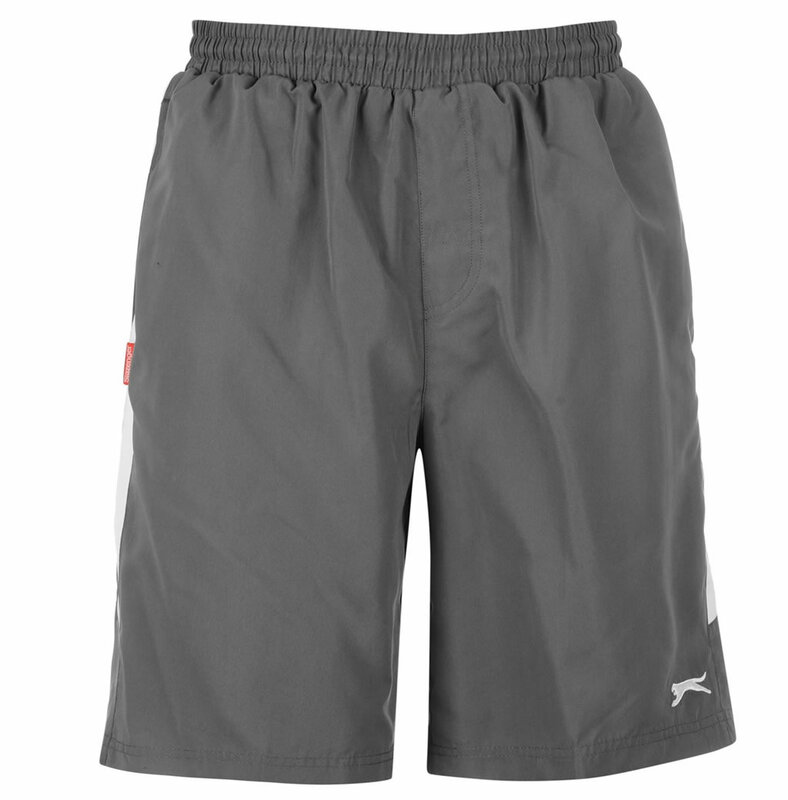 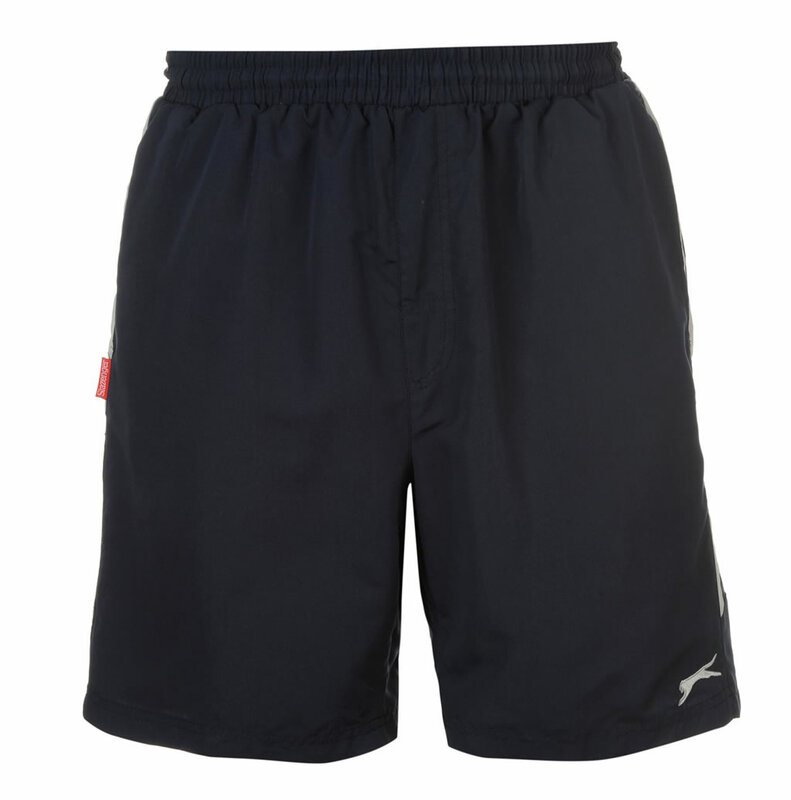 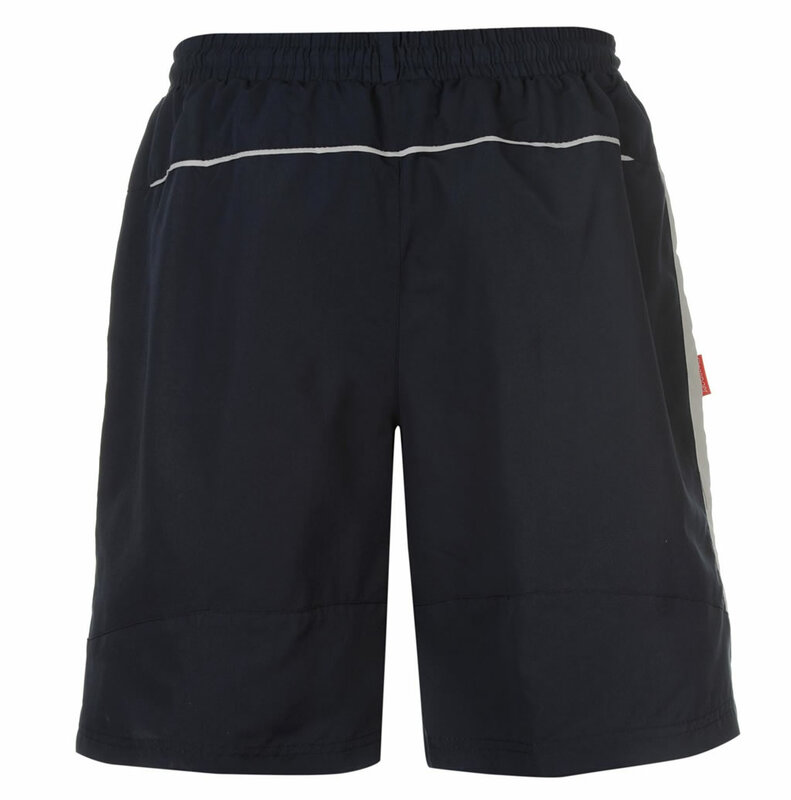 The shorts offer a regular fit and come with a 8.5″ inseam. 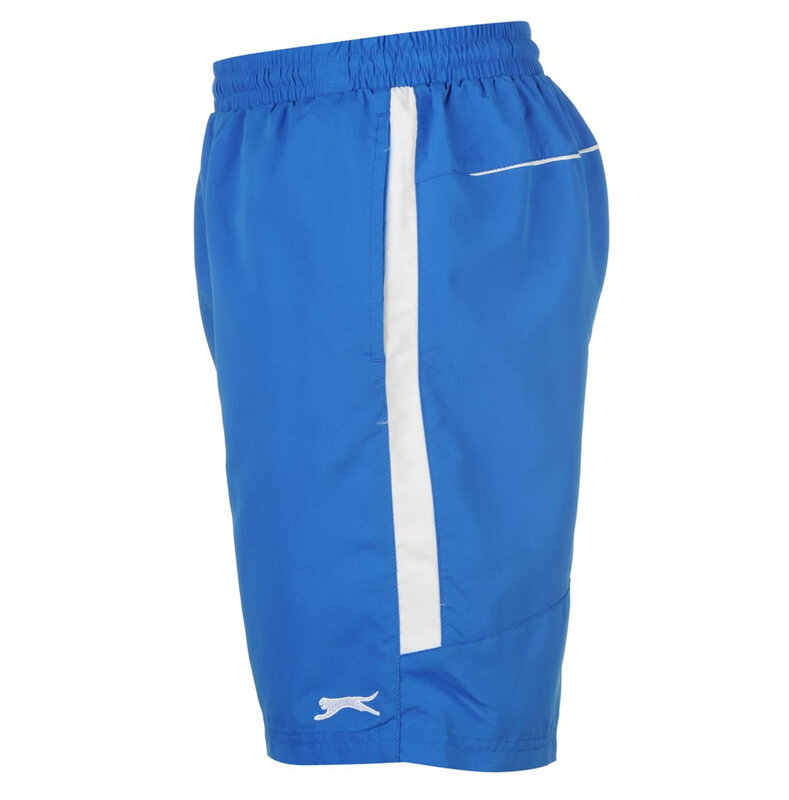 We should also mention the mesh inserts that offer outstanding breathability, as well as the drawcord placed on an elastic waist with exposed elastic back waist. 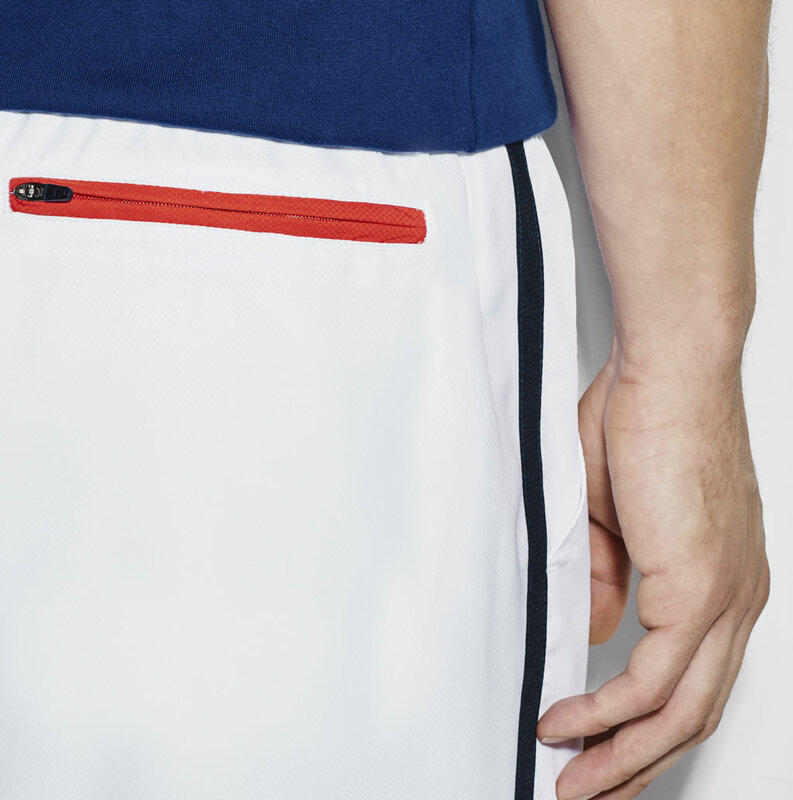 This Fila offering is named Fundamental Clay Short and comes in two colorways named White and Navy. 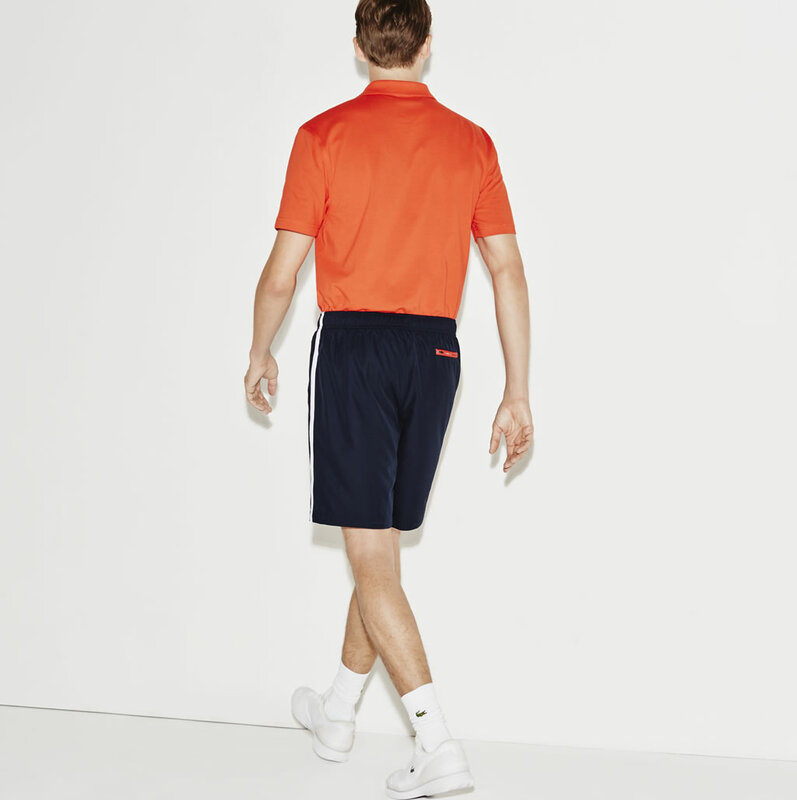 Flaunting a material composition of 60% Cotton/ 40% Polyester, these Fila tennis shorts for men boast an elastic waistband with inside drawcord that helps create a customized fit. 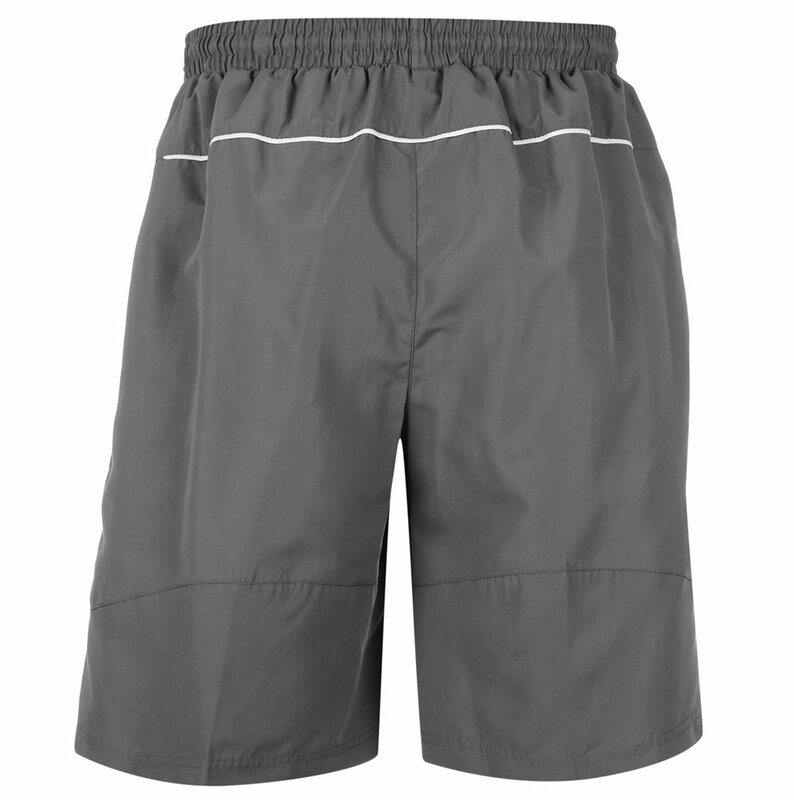 Available in various sizes ranging from S to XXL, they also impress with a 5″ inseam and side seam pockets. 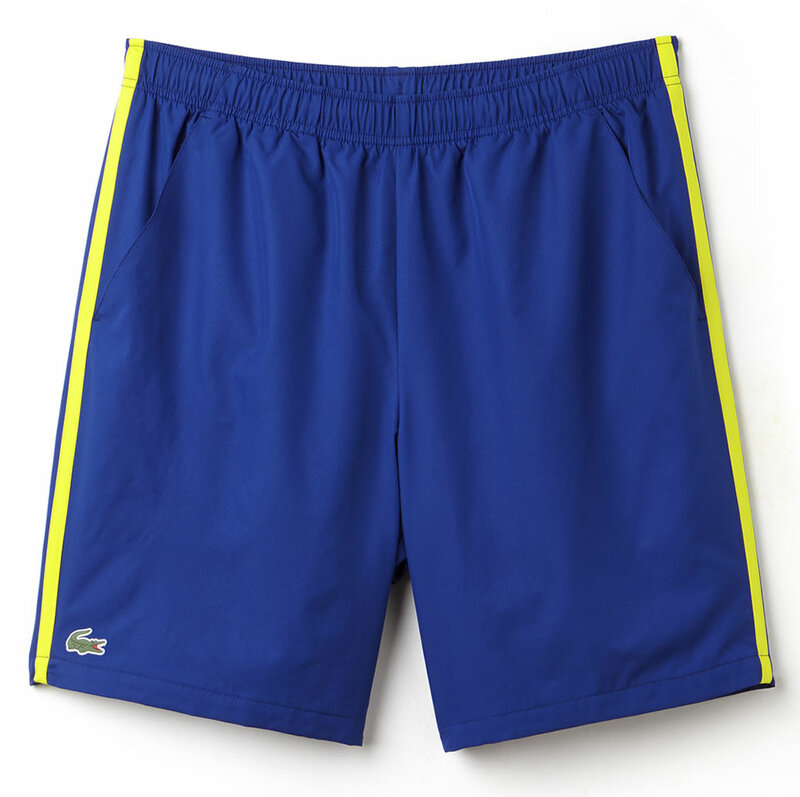 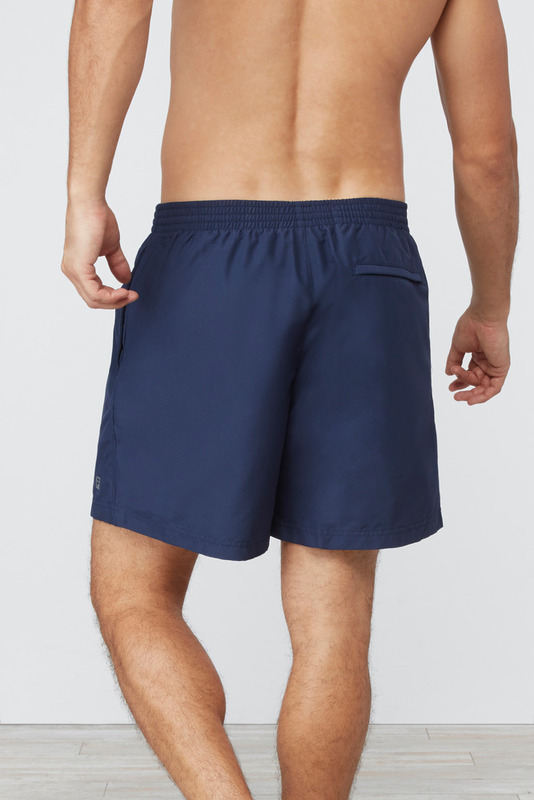 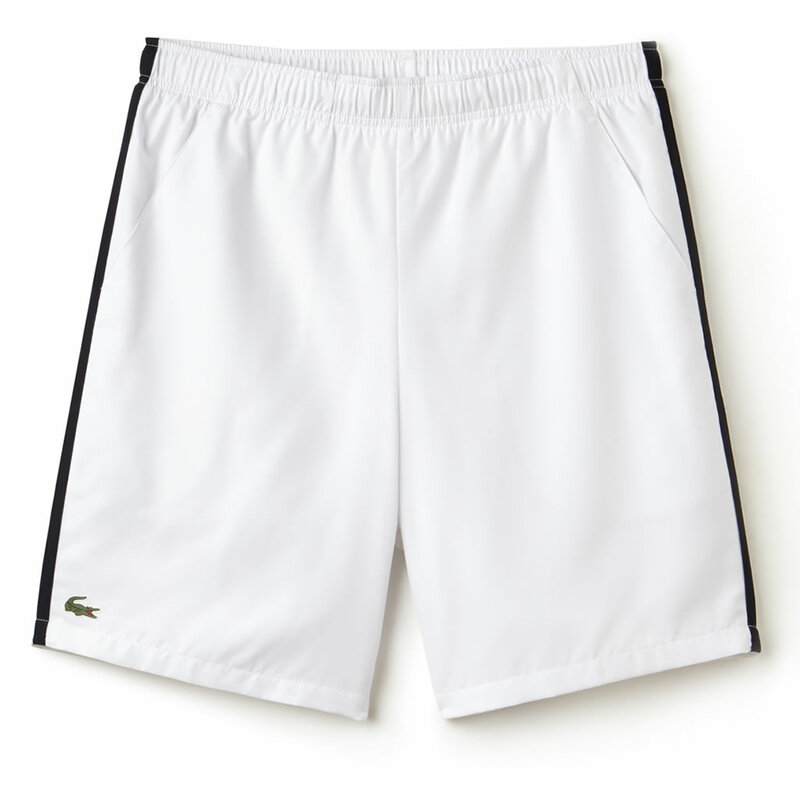 With a stylish design, these men’s tennis shorts by Lacoste come in five unique colorways, and they feature a back zip pocket and side pockets, as well as an elasticized waistband with drawstring for a secure fit. 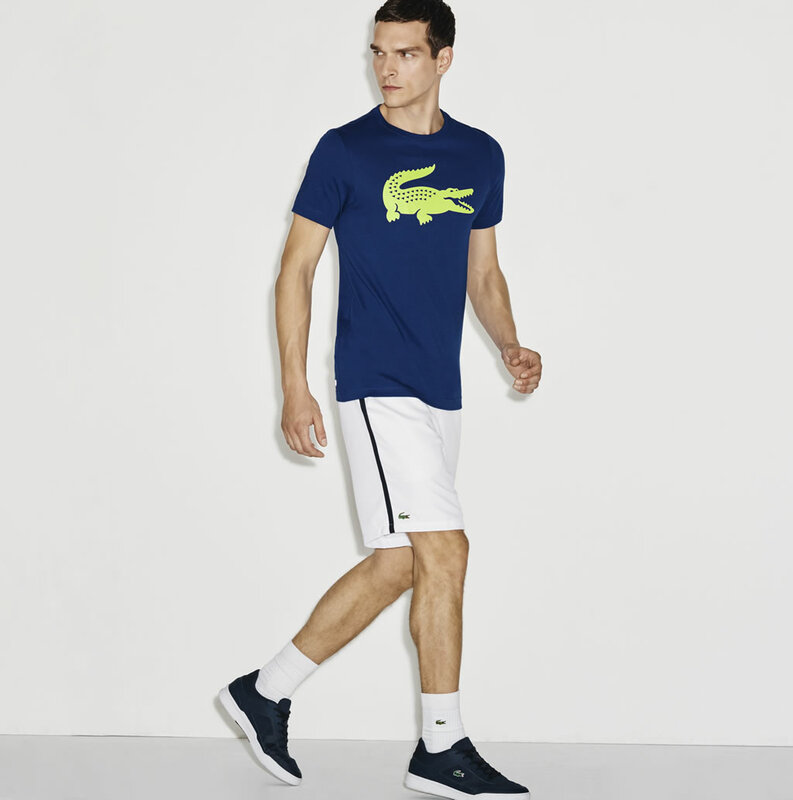 Made out of 100% polyester, they boast the Lacoste’s Green Crocodile logo on the leg for a touch of originality. 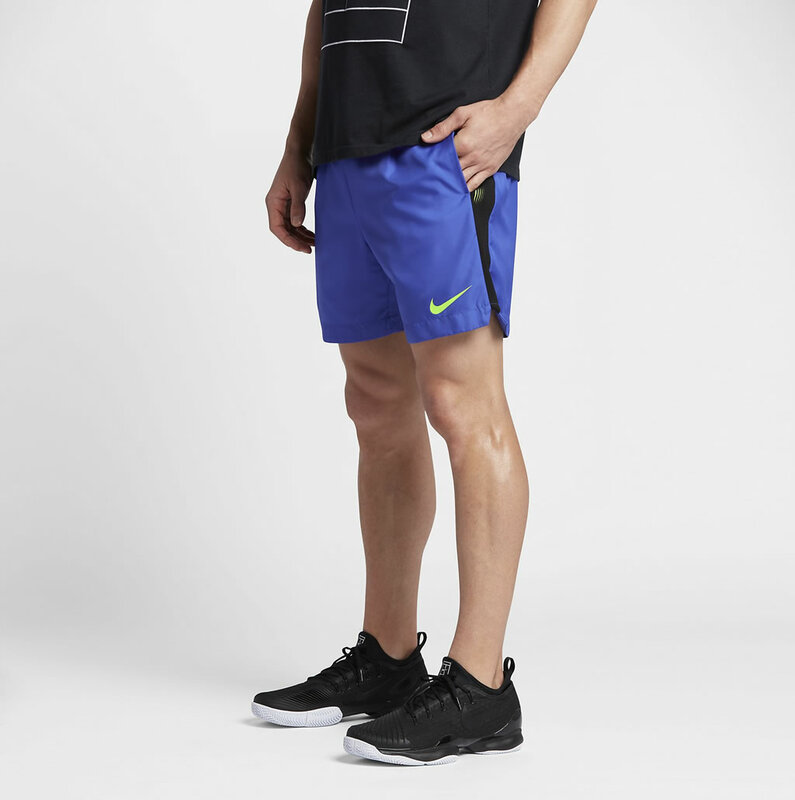 When you look for high-quality gear, Nike is always a good place to start. 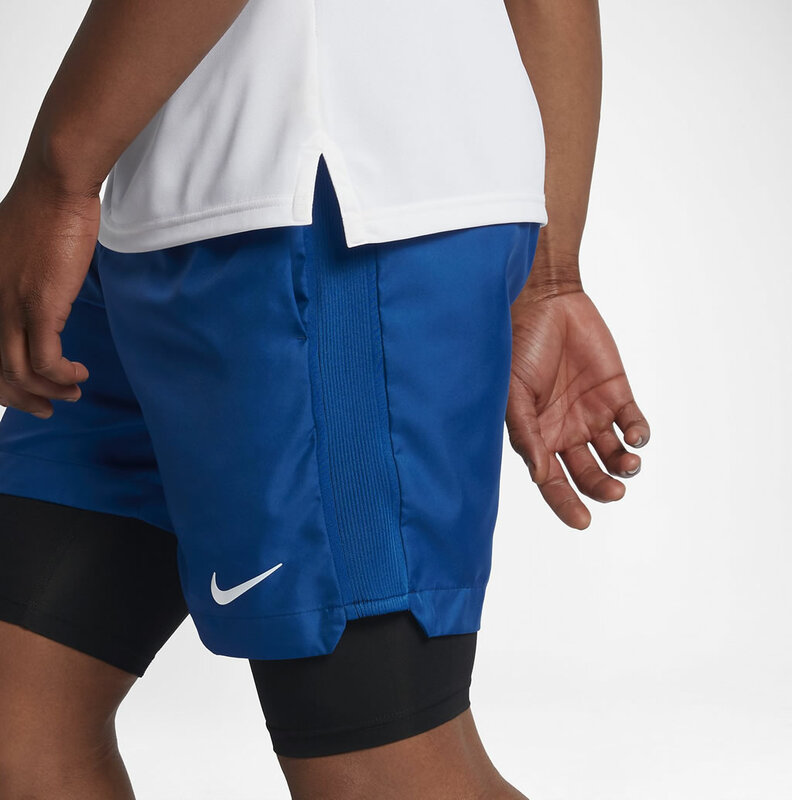 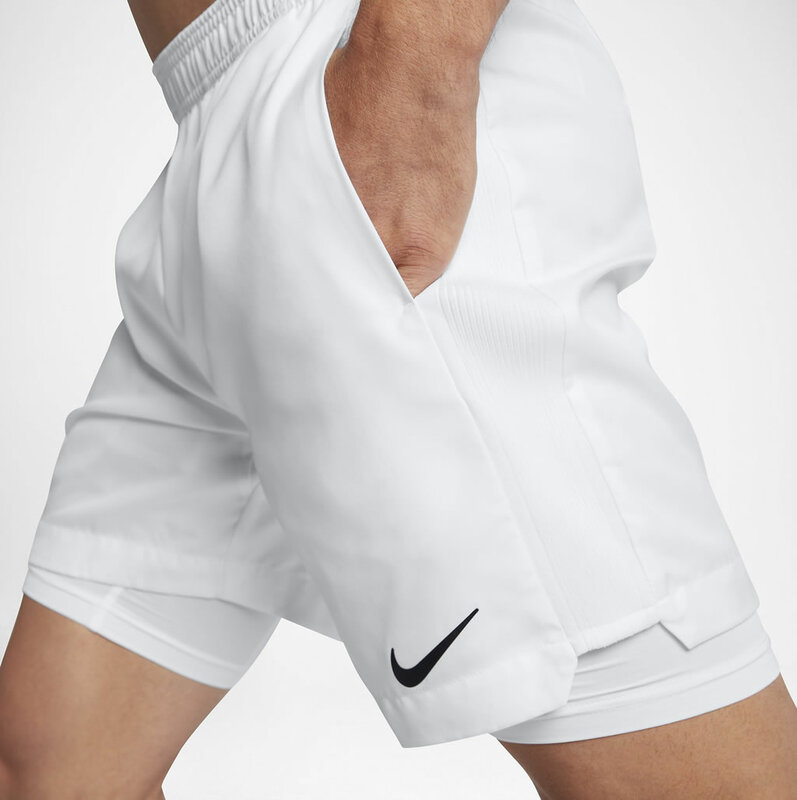 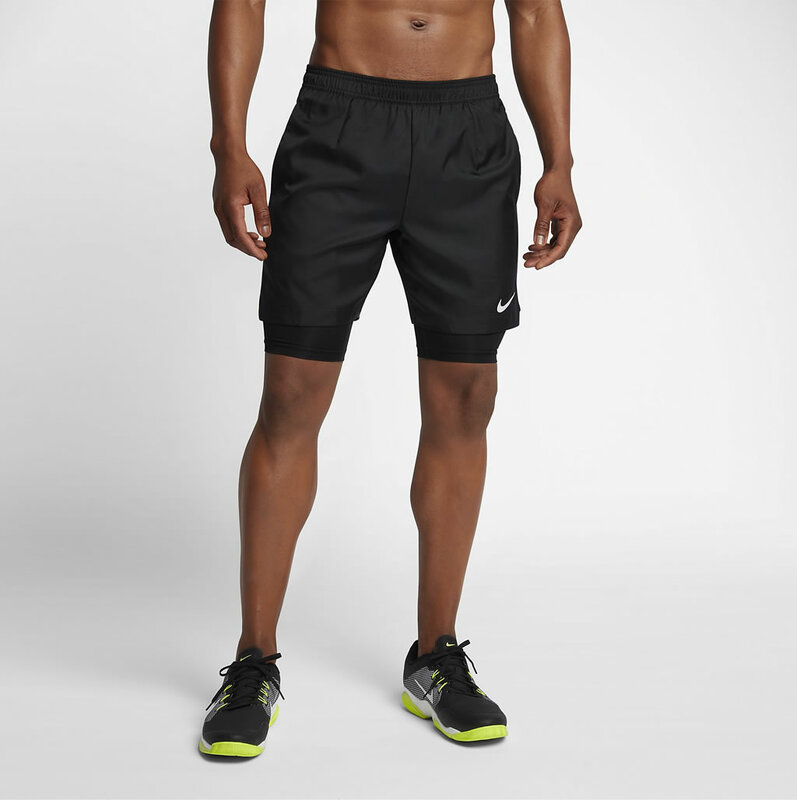 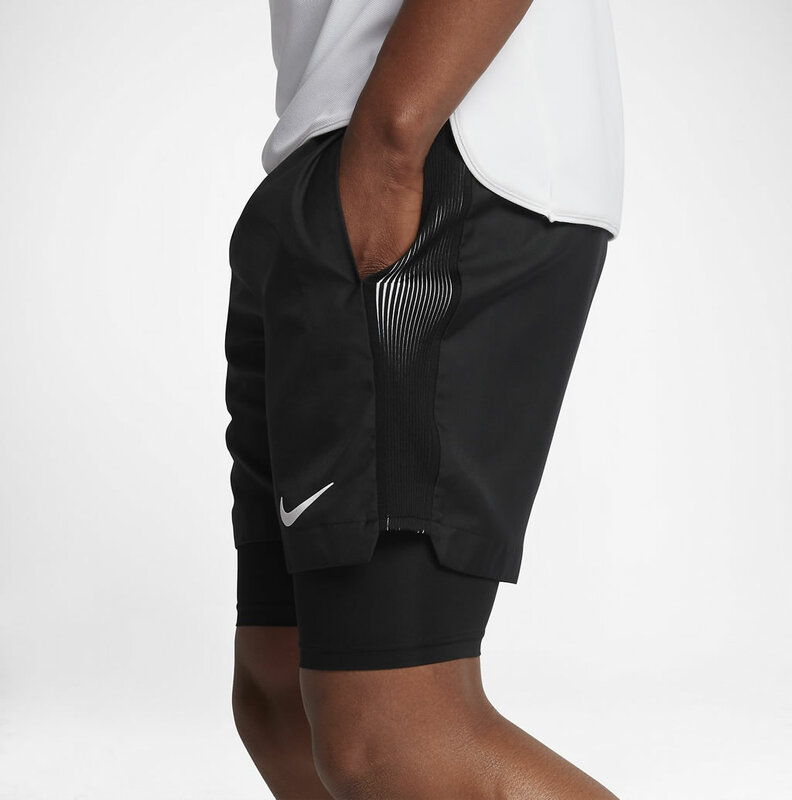 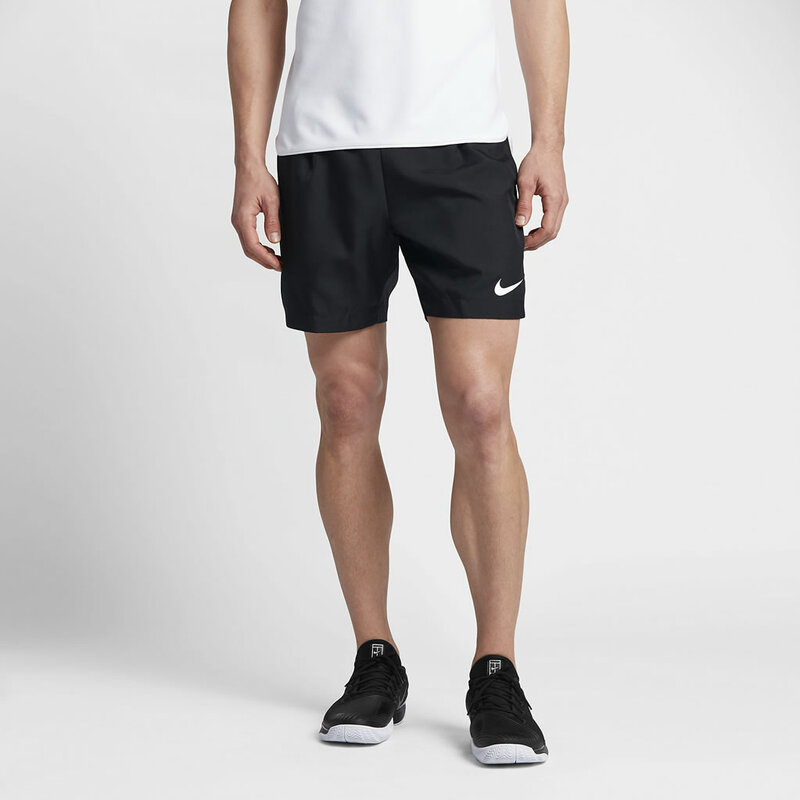 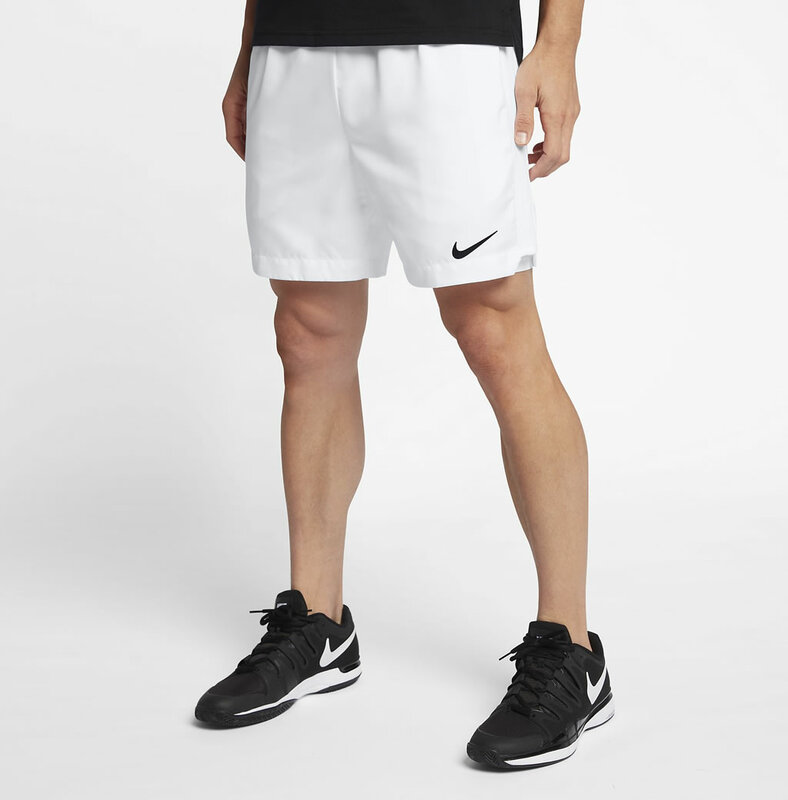 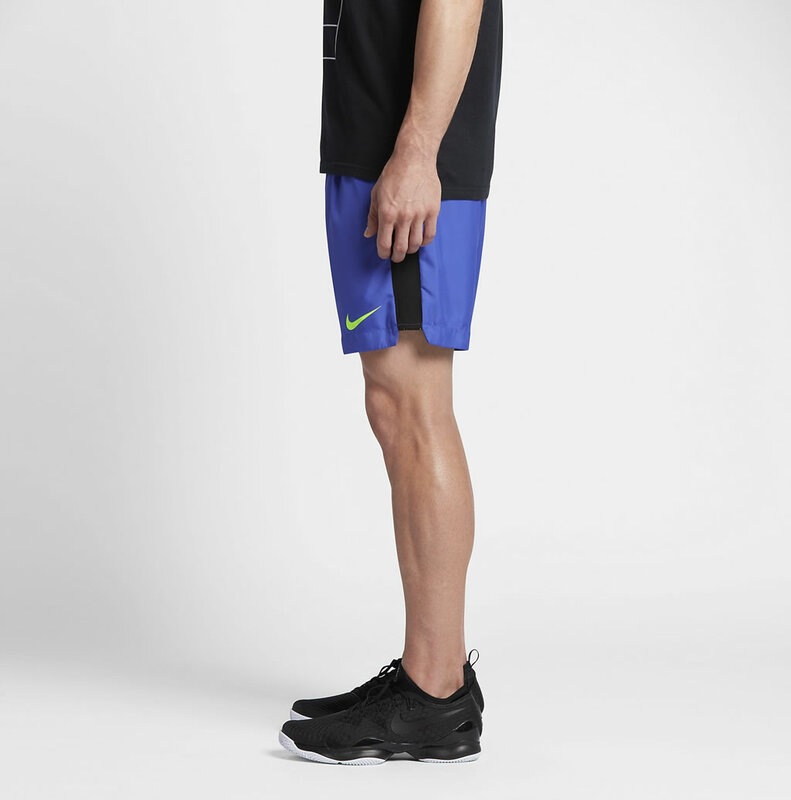 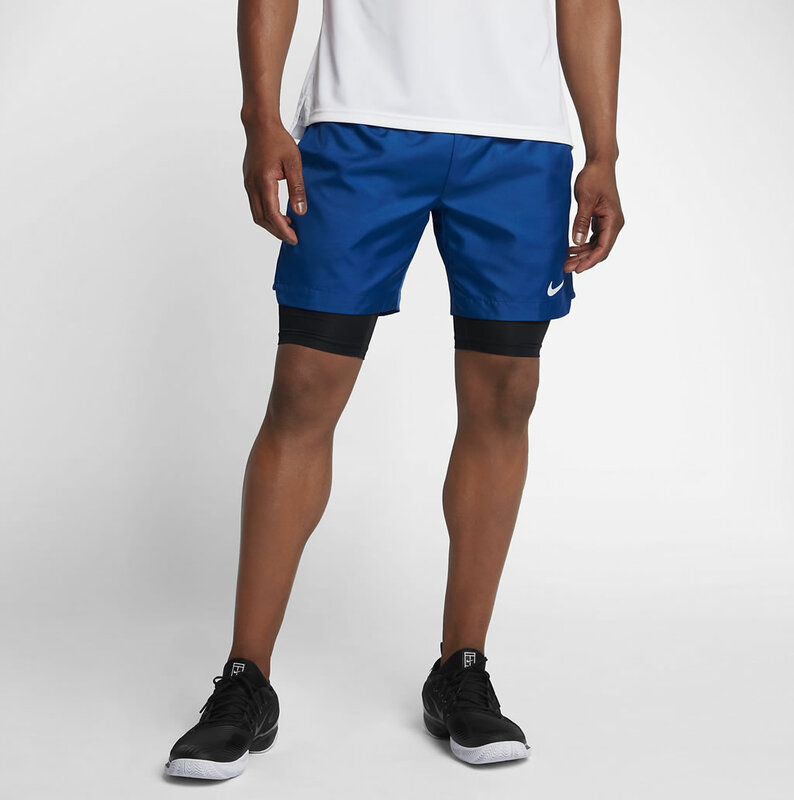 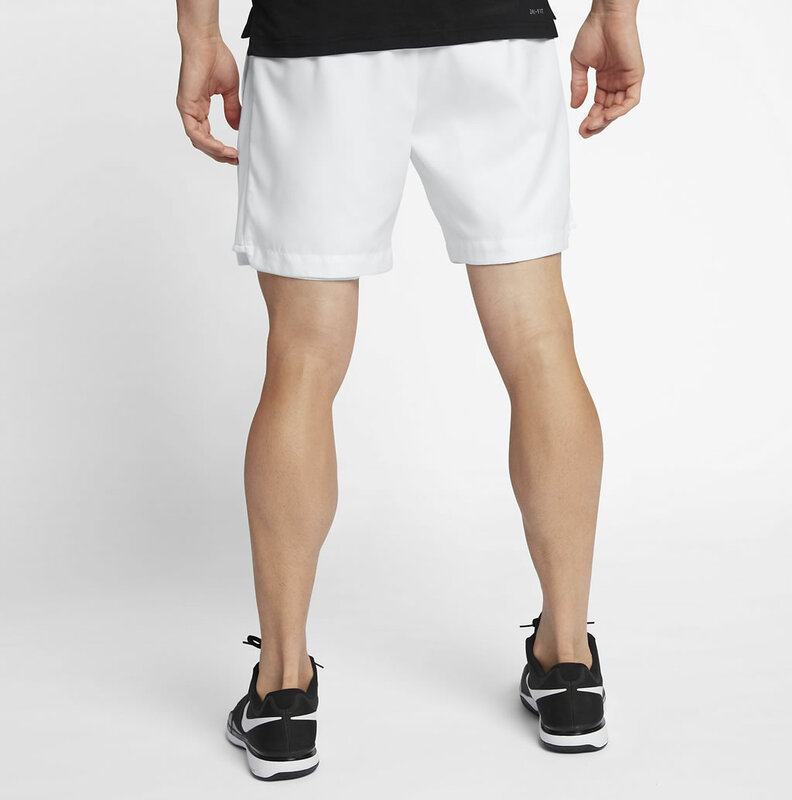 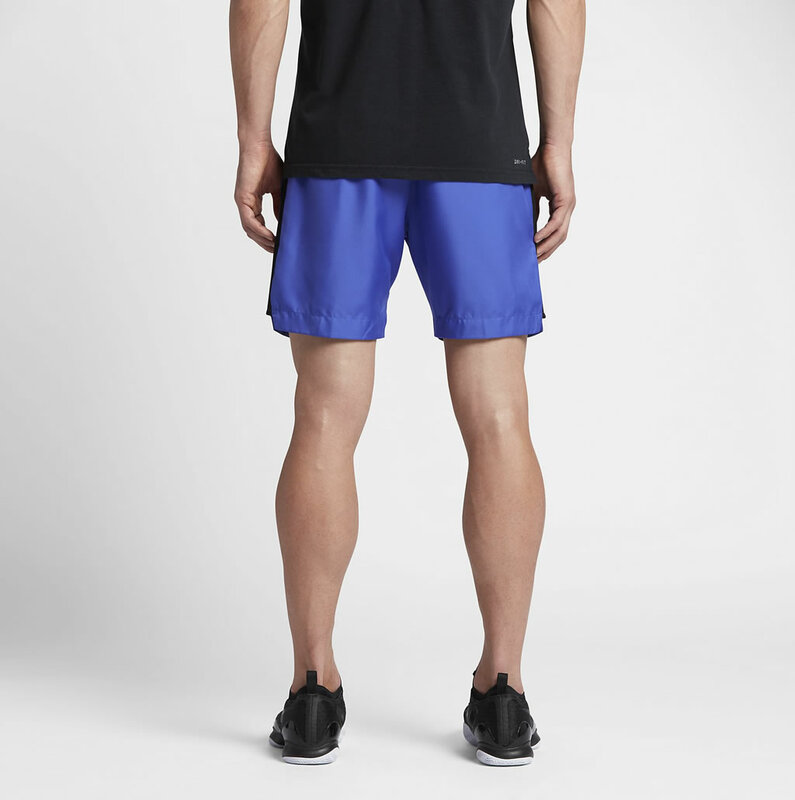 Design with comfort and practicality in mind, these men’s 7 inch inseam tennis shorts by Nike incorporate the Dri-FIT Technology that wicks sweat away from the body, keeping the player dry and cool. 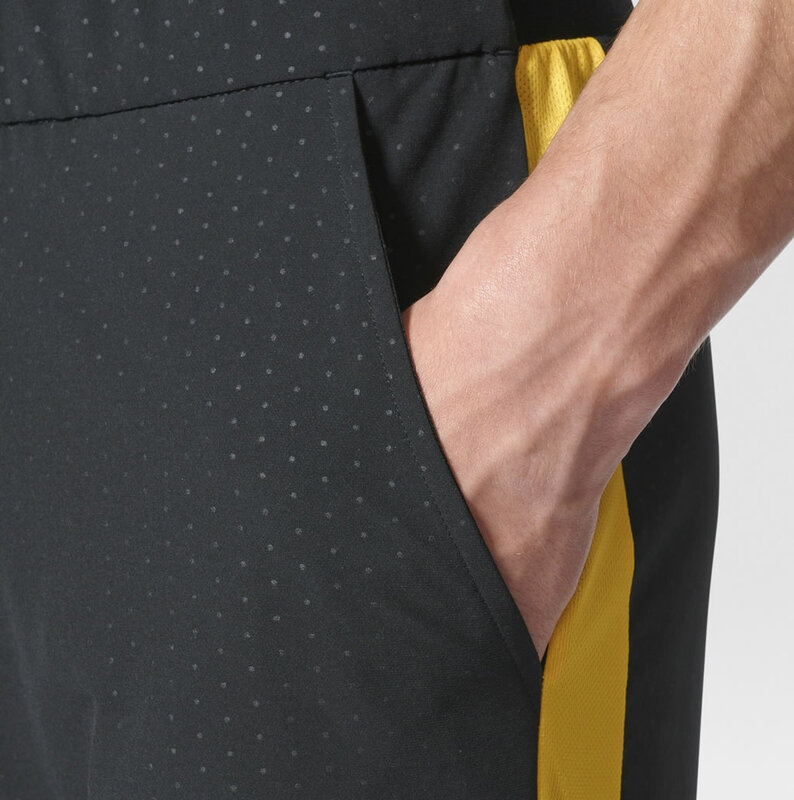 Their stretchy ribbed side panels allow a full range of motion, while the deep side pockets can be used to store balls, so you don’t have to stop from the game. 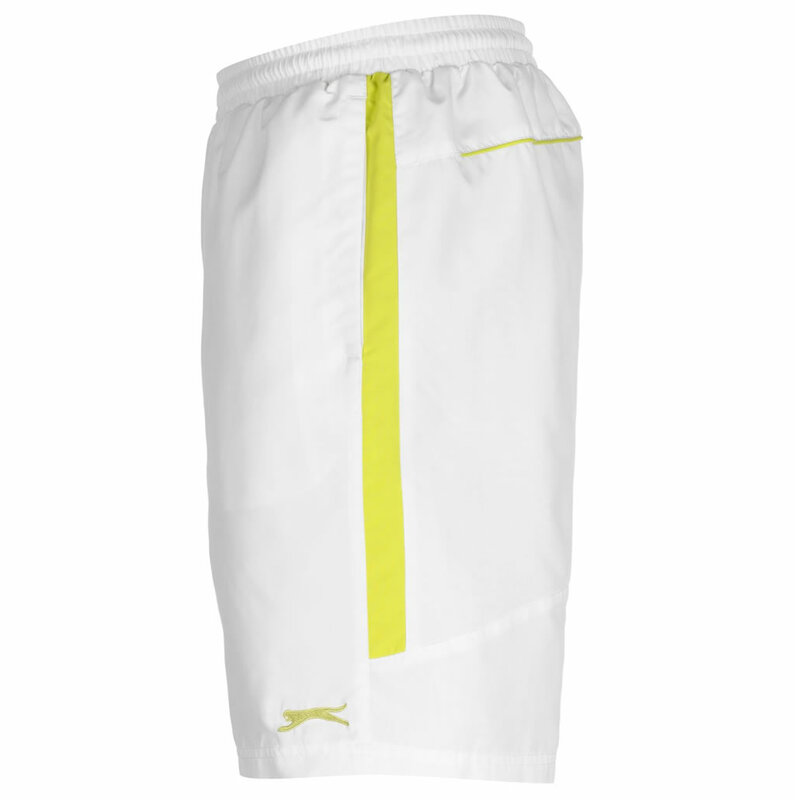 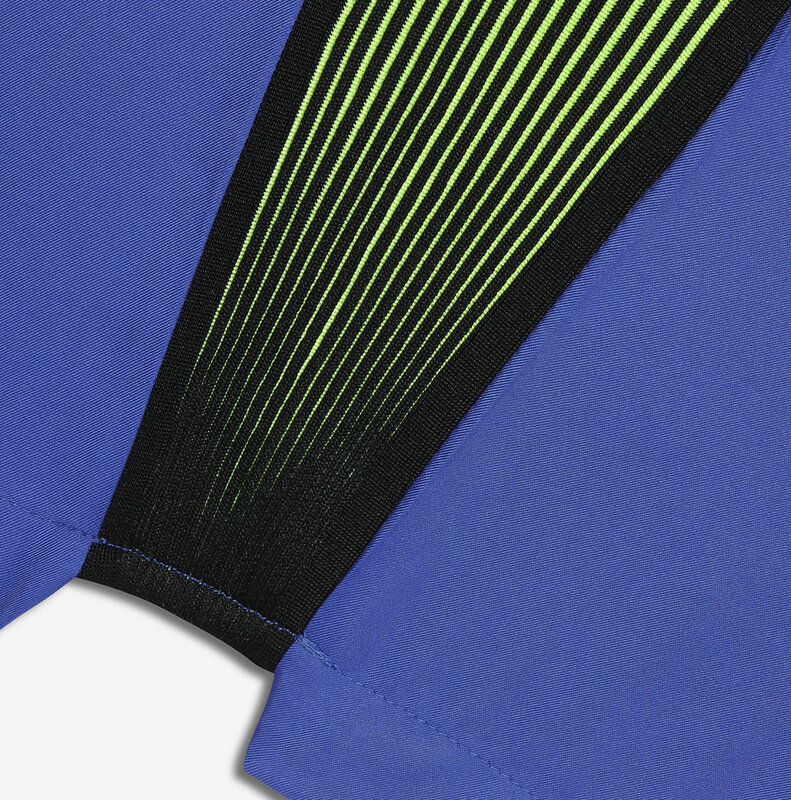 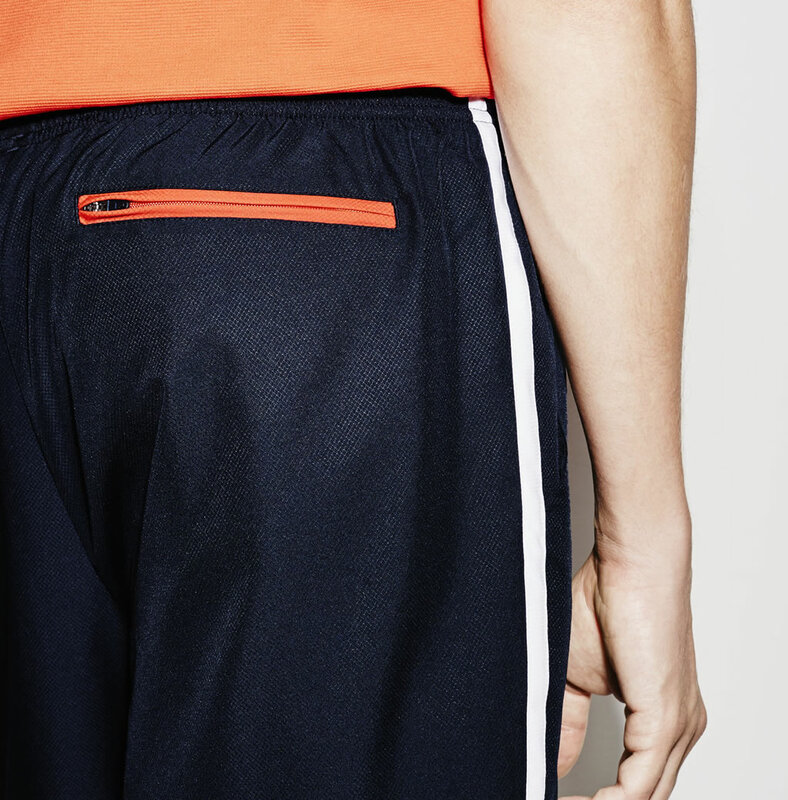 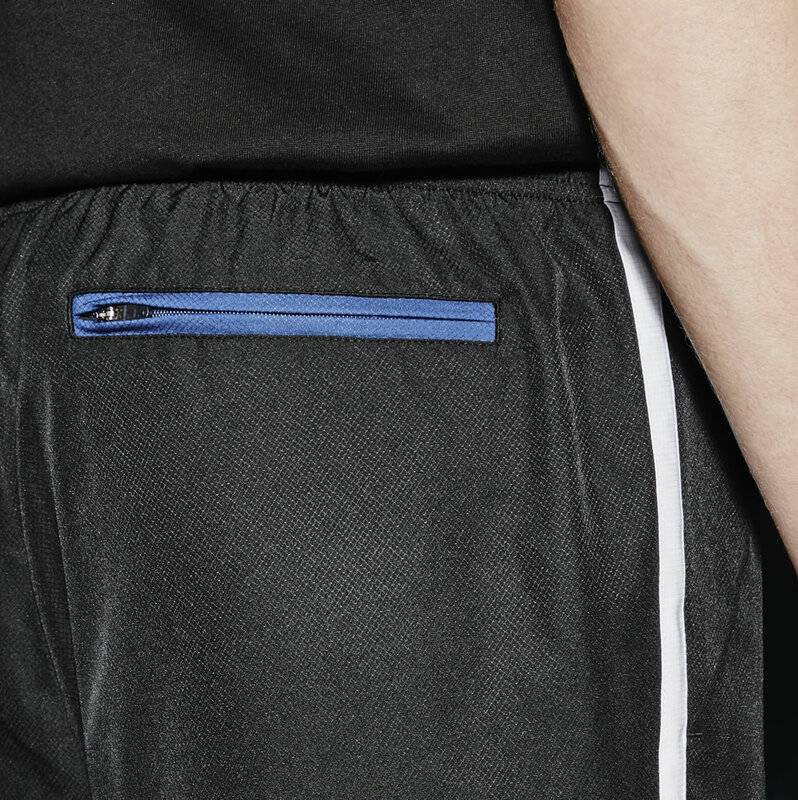 Last but not least, we should mention the mesh-lined elastic waistband with interior drawcord that keeps them secure. 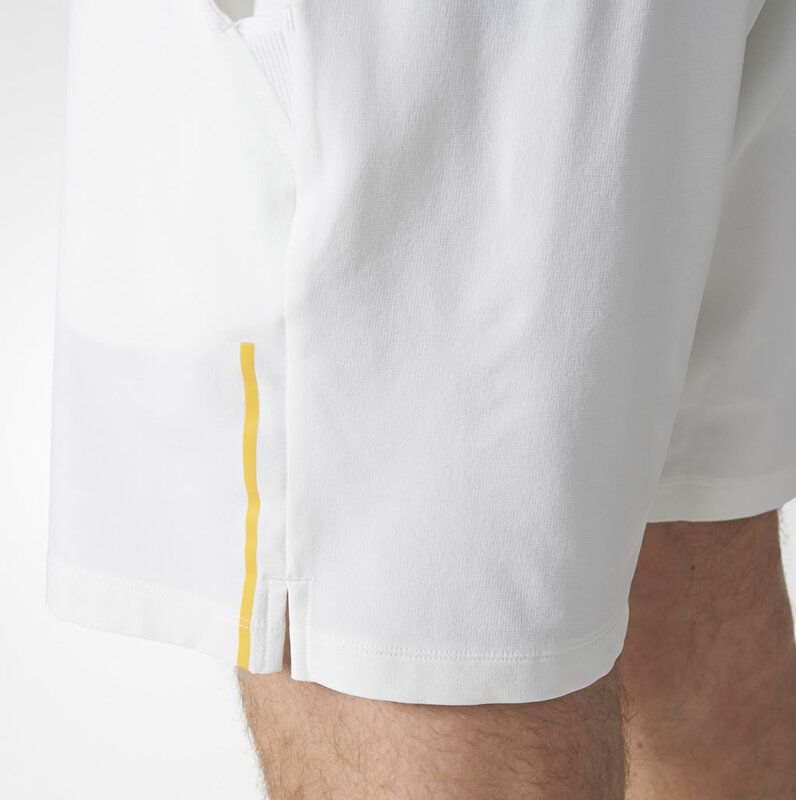 Dominate the court in style with these Asics Club 7″ Tennis Shorts. 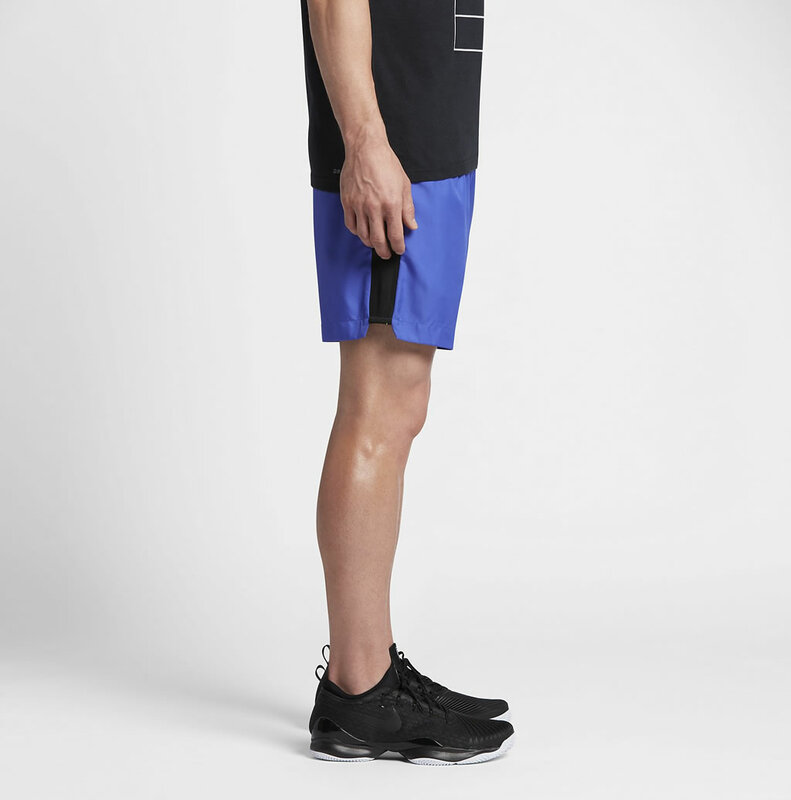 Boasting a 7″ inseam, they are available in four different colorways named Castlerock, Performance Black, Lapis and Indigo Blue, and they were created using high-quality materials. 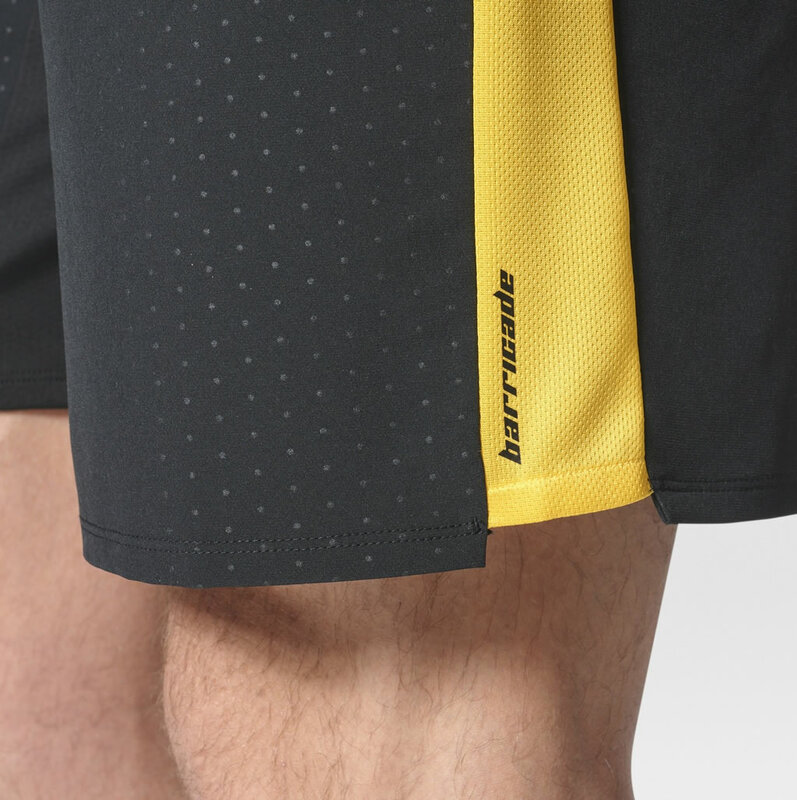 Speaking of the material, it is a mechanical stretch woven fabric that keeps moisture at bay in order to increase comfort. 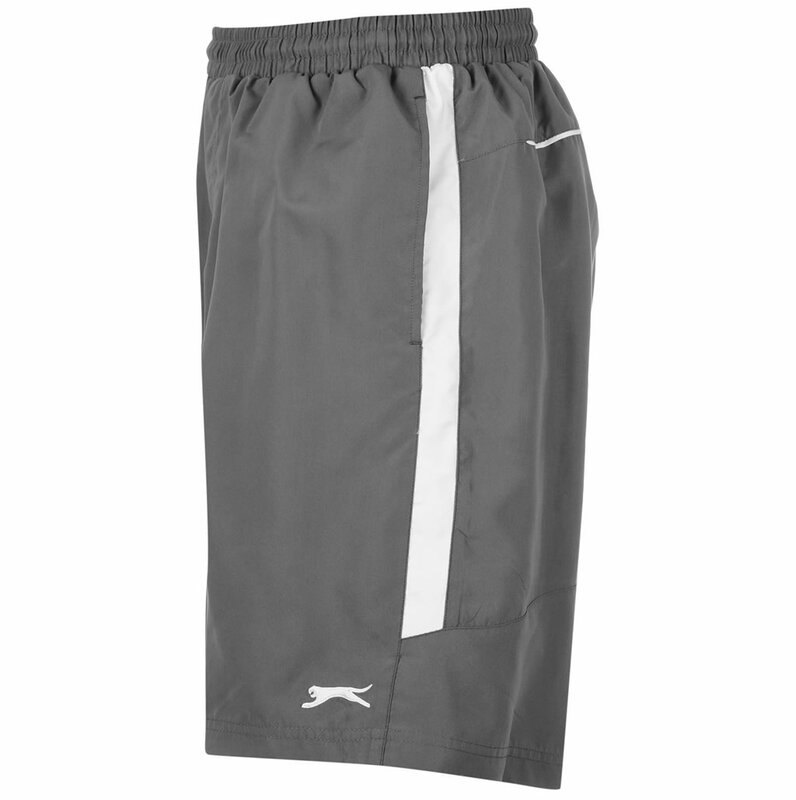 They also impress with a secured ball pocket that has built-in sweat-wicking properties. 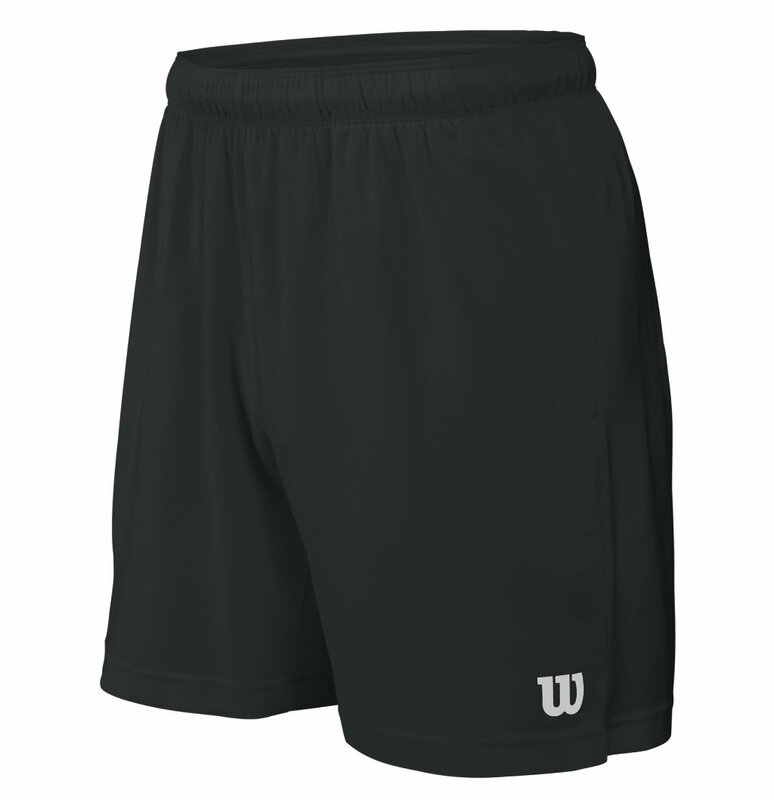 The Wilson Rush 7″ Woven Tennis Shorts provide outstanding comfort and durability. 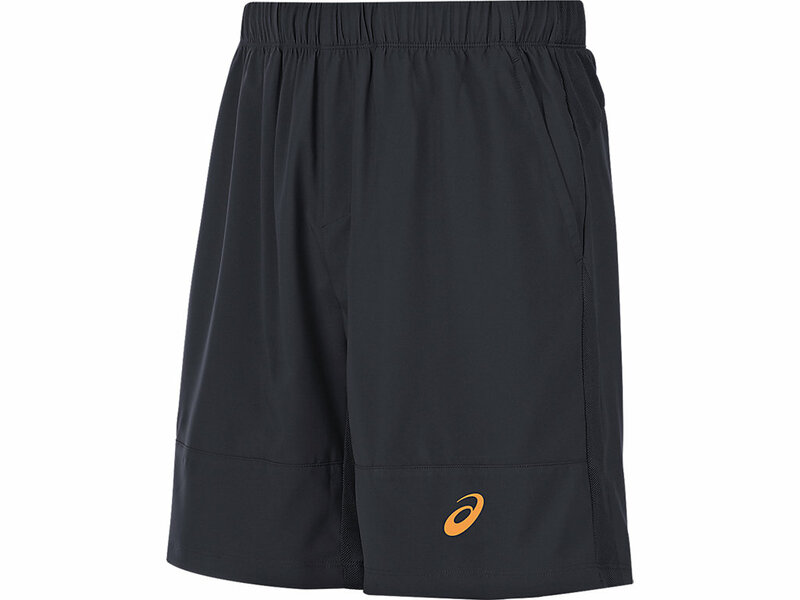 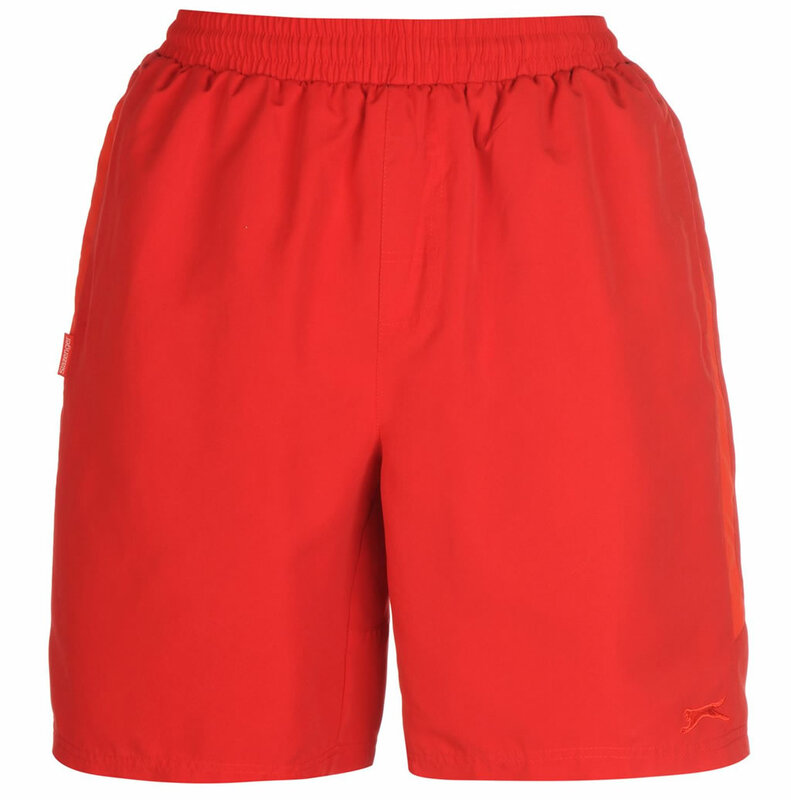 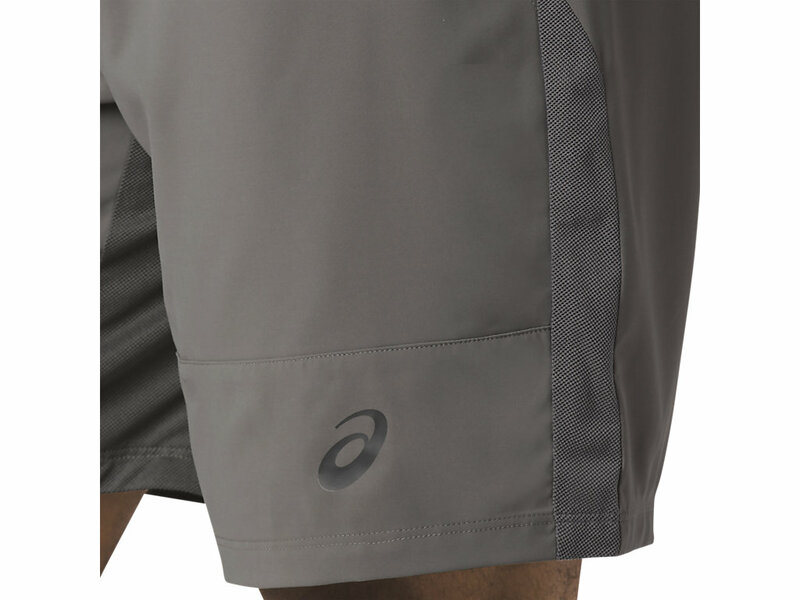 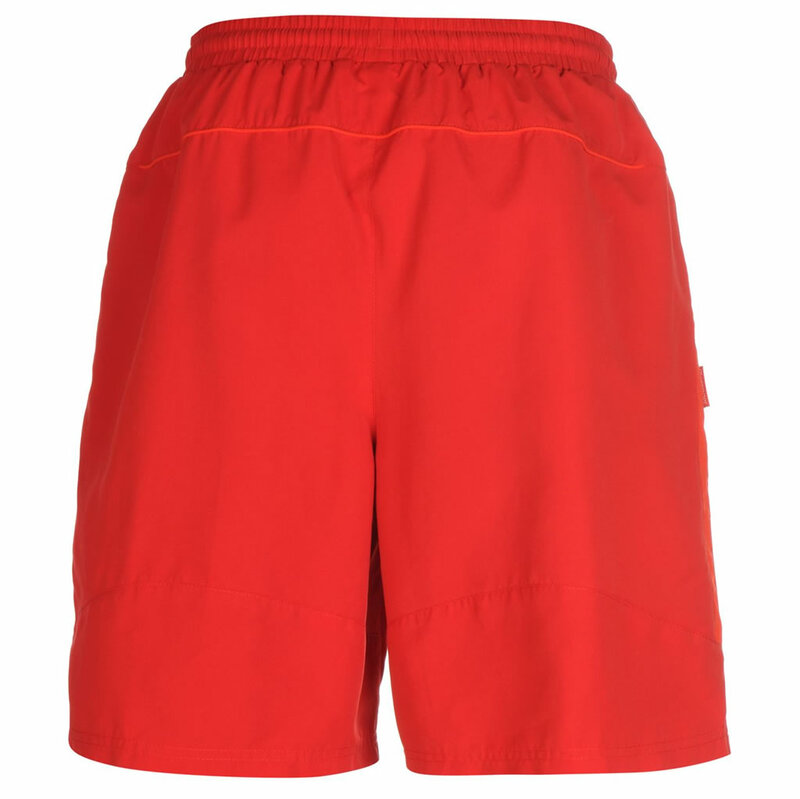 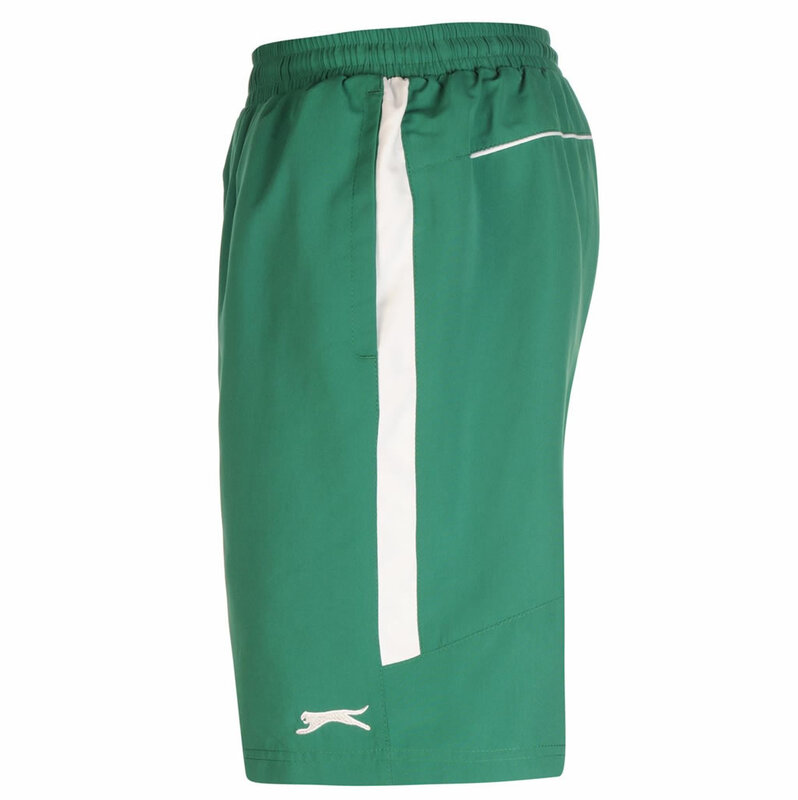 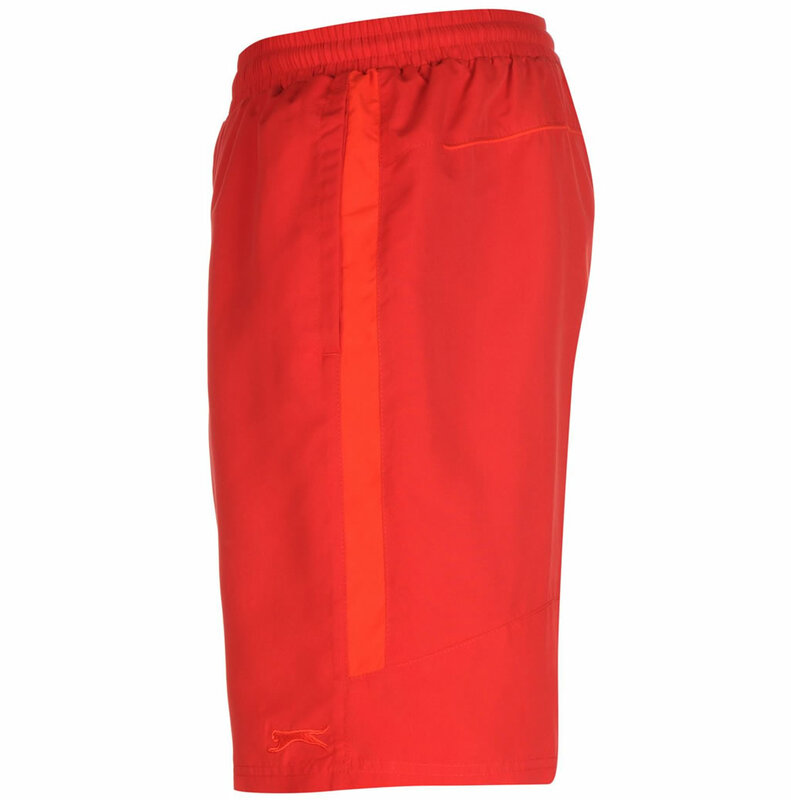 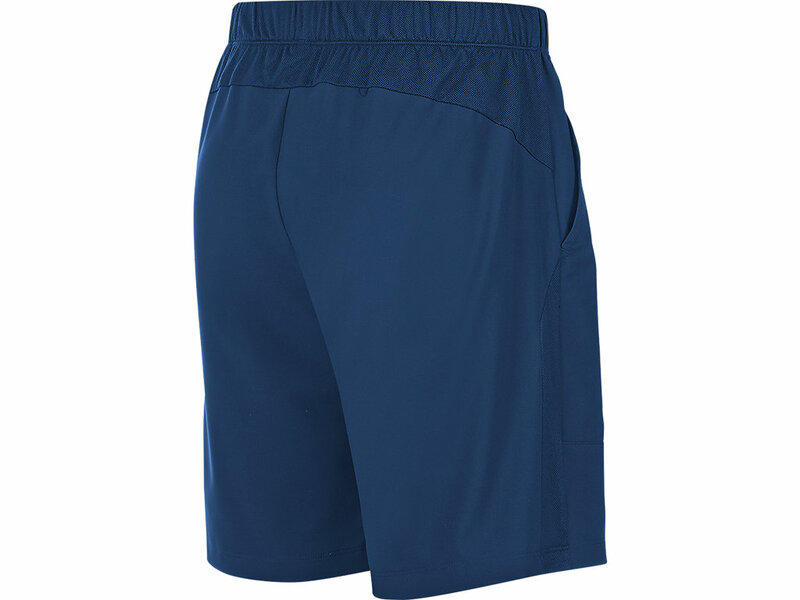 With a 7″ inseam, these tennis shorts flaunt Wilson signature ball pockets that allow you a quick access to the ball. 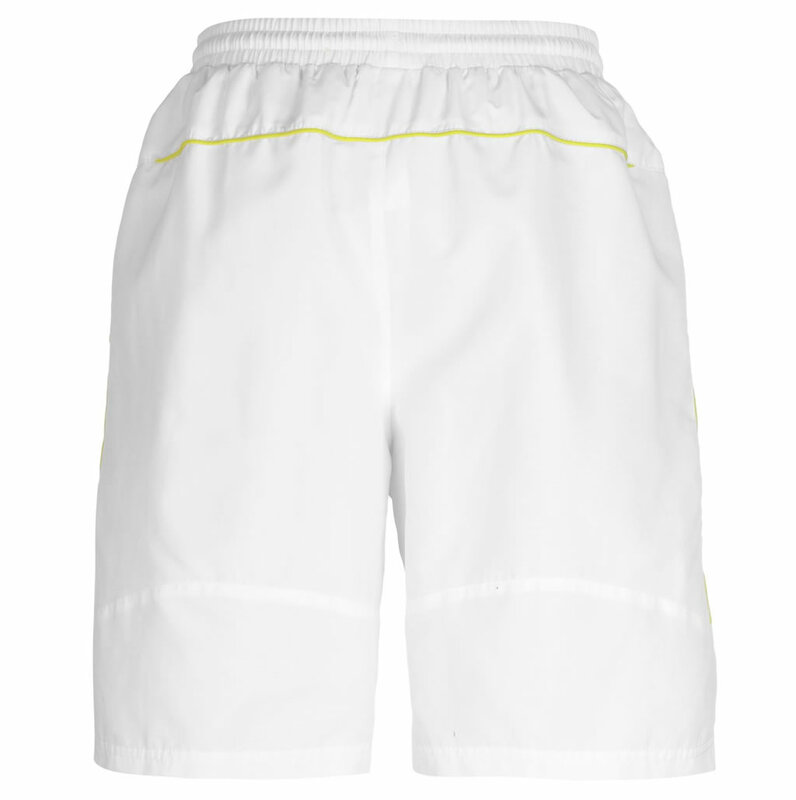 As for material, they were created using a stretch woven fabric that incorporates nanoWIK moisture movement technology, which helps keep you dry, cool and concentrated on the court. Created using a mix of 65% Polyamide, 21% Polyester and 14% Spandex, the Tournament 9In Tennis Shorts are flexible and lightweight. 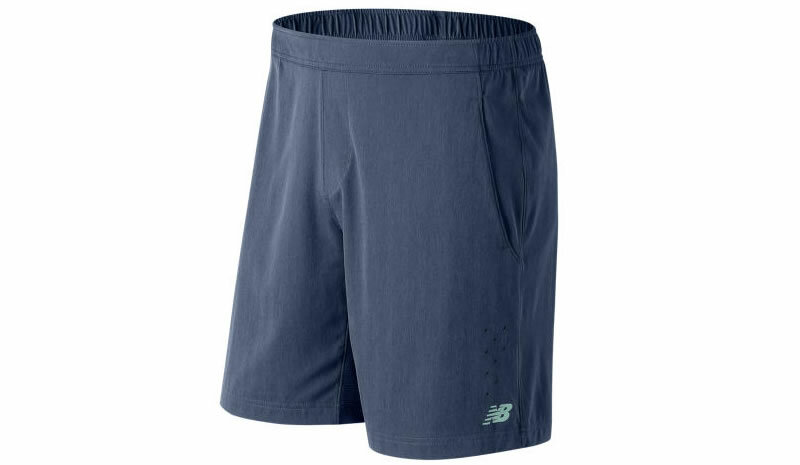 Flaunting a herringbone stretch woven fabric for an athletic fit, these New Balance tennis shorts feature slash pockets that offer adequate ball storage. 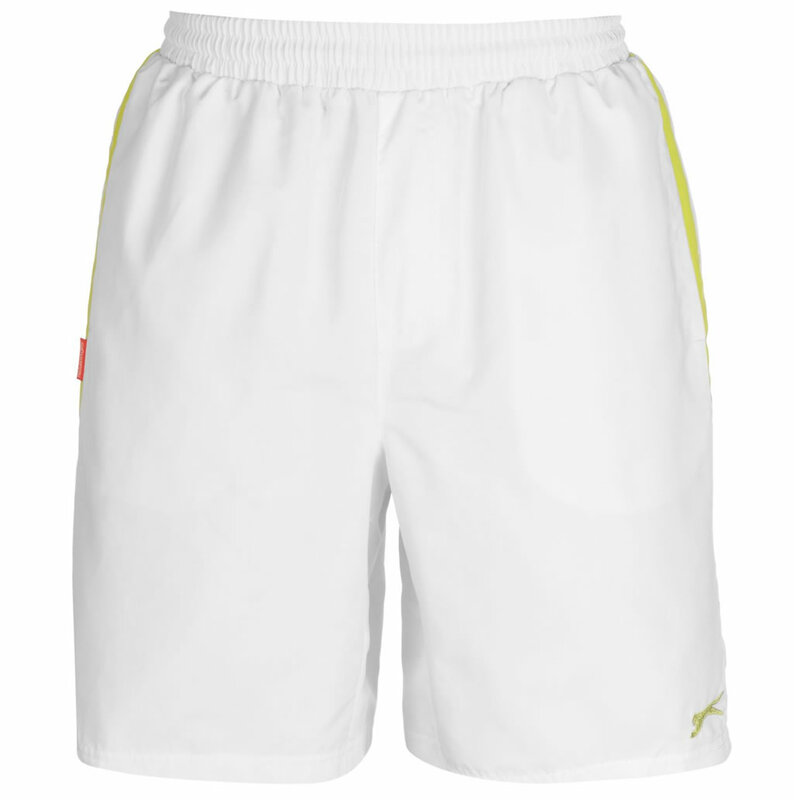 To make sure that you will benefit of a maximum comfort and breathability during even the most intense matches, the product features a mesh gusset, and laser perforations at thigh and back yoke. 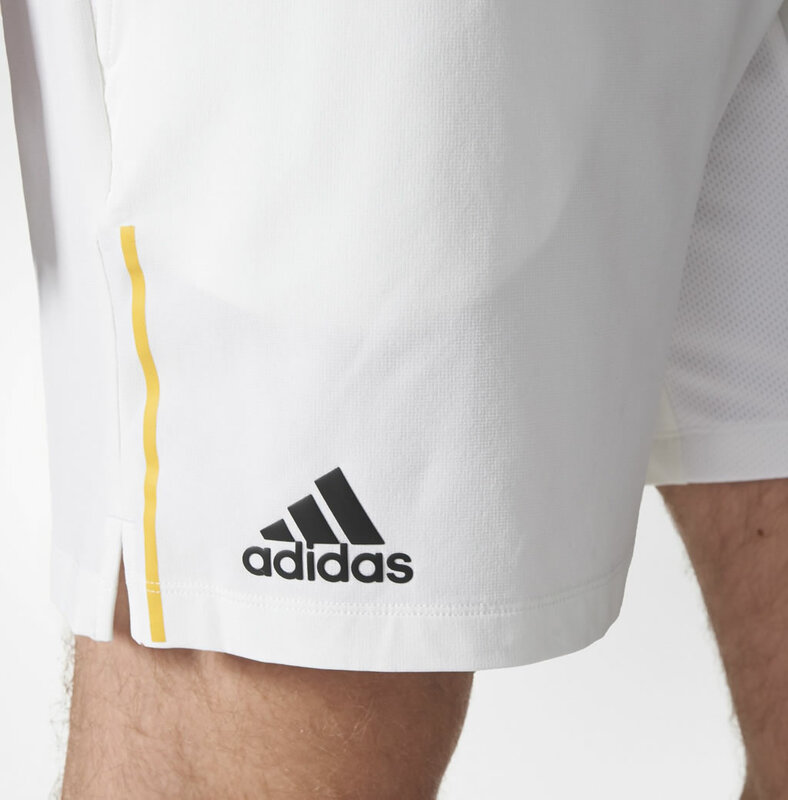 Another noteworthy Adidas offering is the London Tennis Shorts, which also incorporate the brand’s climacool technology that provides ventilation and moisture control. 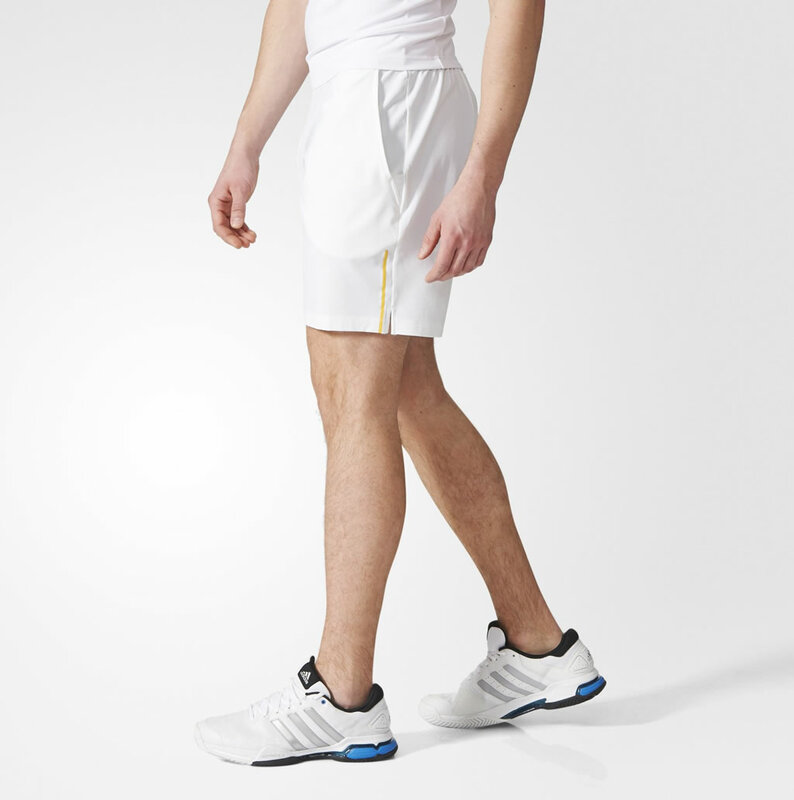 Featuring front pockets, these white tennis shorts for men come with UPF 25+ UV protection that offers you protection against harmful sun rays. 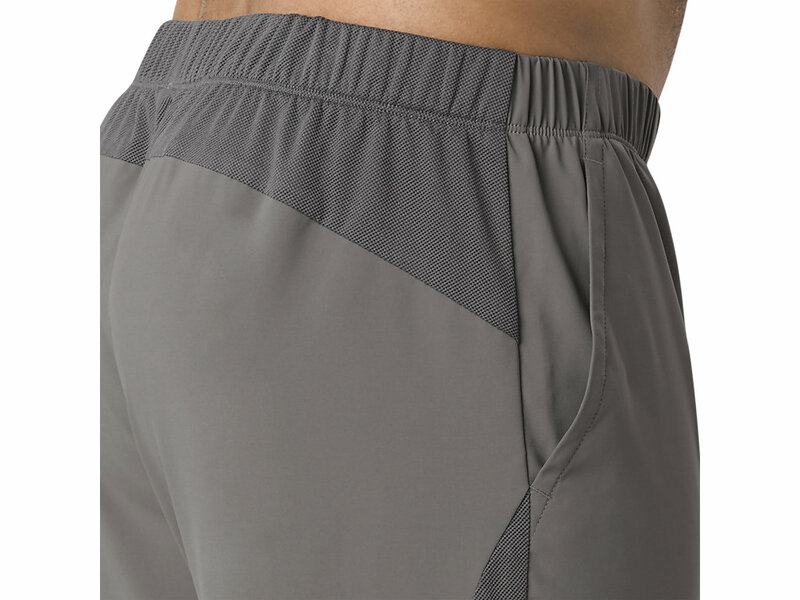 The mesh gusset enhances airflow, while the elastic waistband that features an internal drawcord guarantees a secure custom fit. 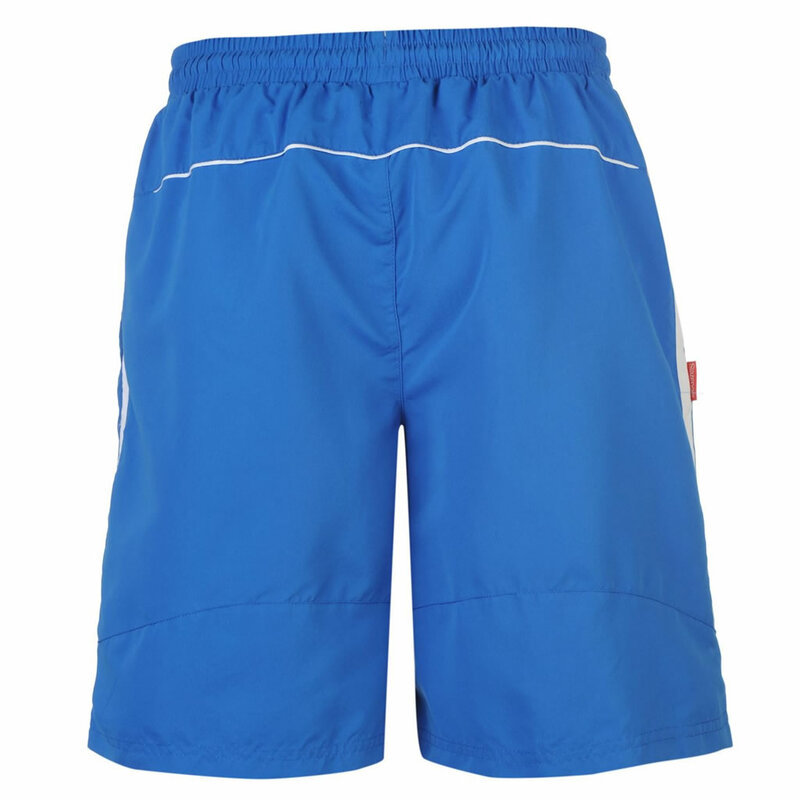 Last but not least, the material composition for this product is 88% polyester and 12% elastane. 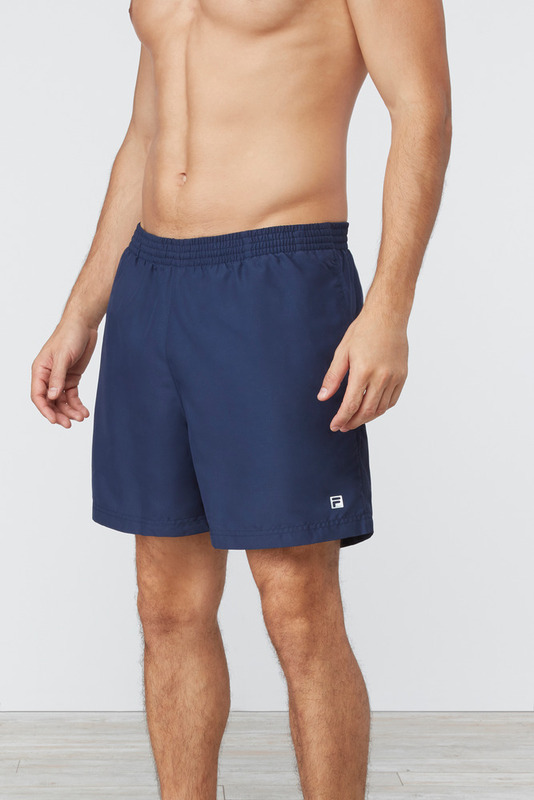 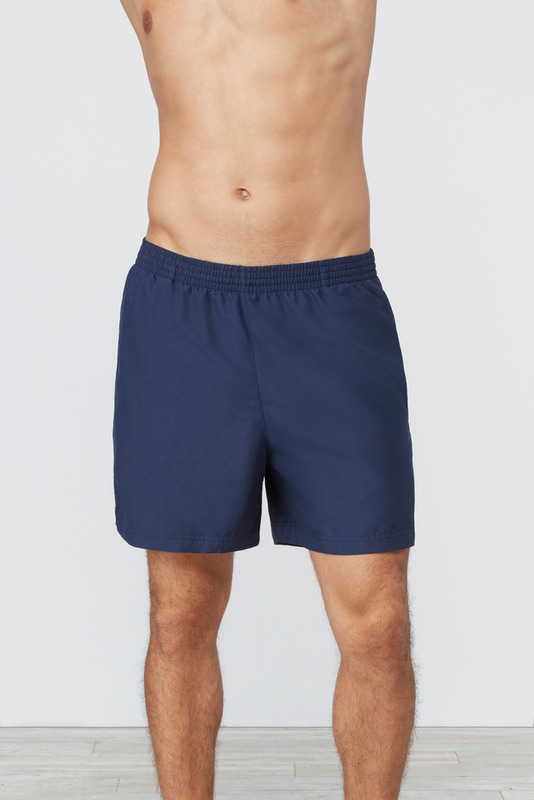 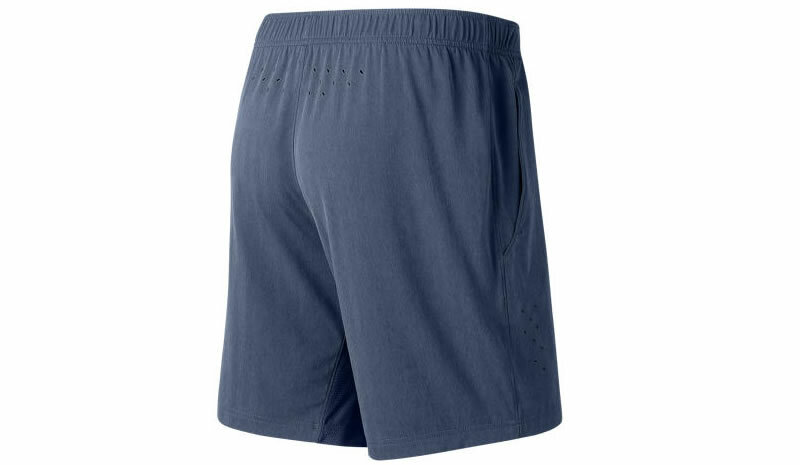 What you’re admiring right now are these men’s Woven Tennis Shorts by Slazenger that feature an elasticated waistband with an internal drawstring fastening that keeps them secure. 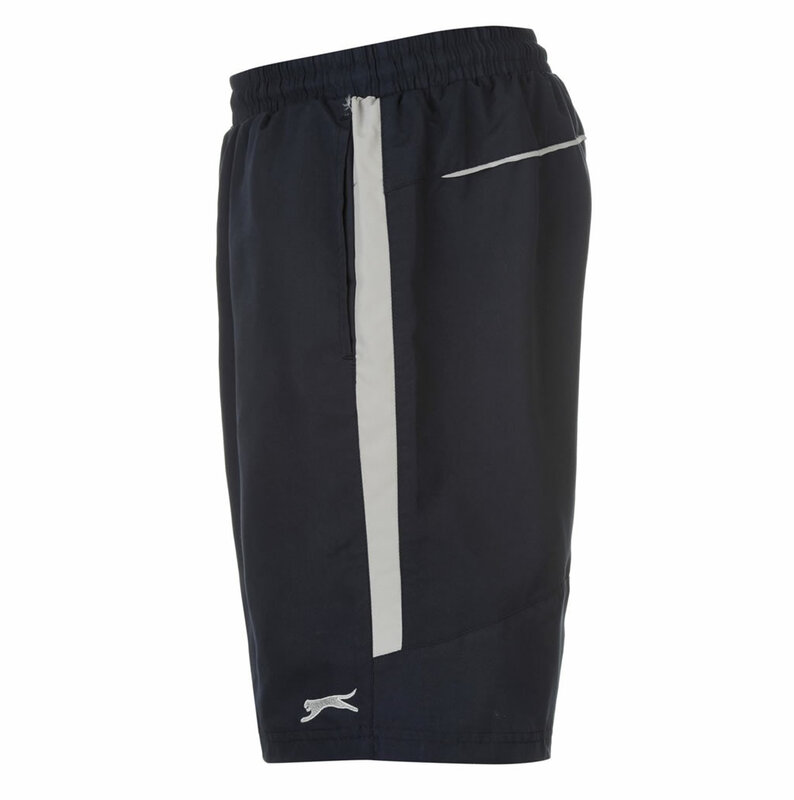 Thanks to its internal mesh brief, this Slazenger product provides exceptional freedom of movement and mobility. 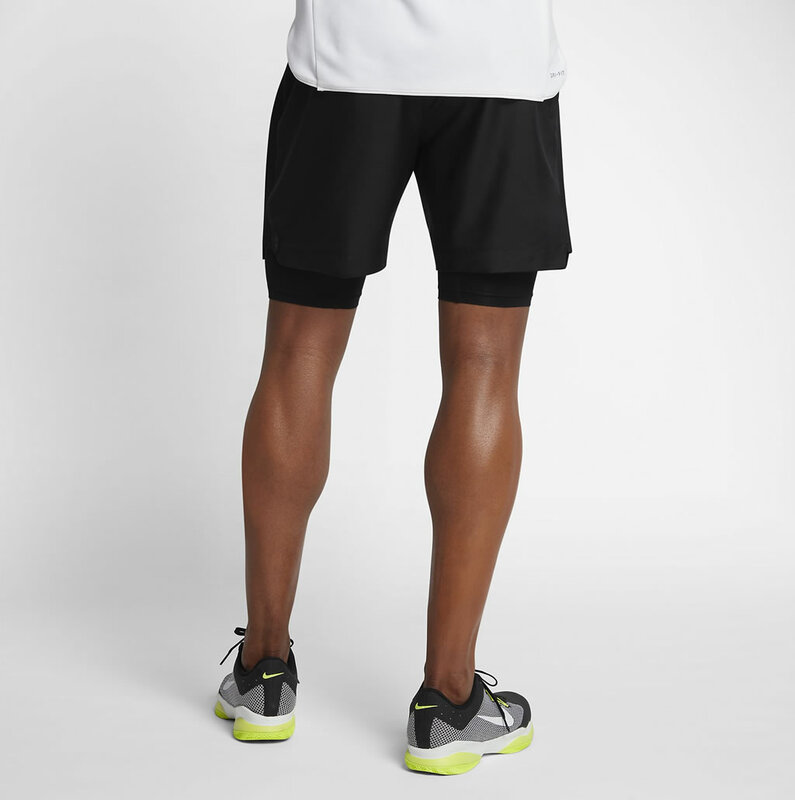 Other highlights include two open pockets, a faux fly, contrasting panel details and trim to the sides of the legs and around the back. 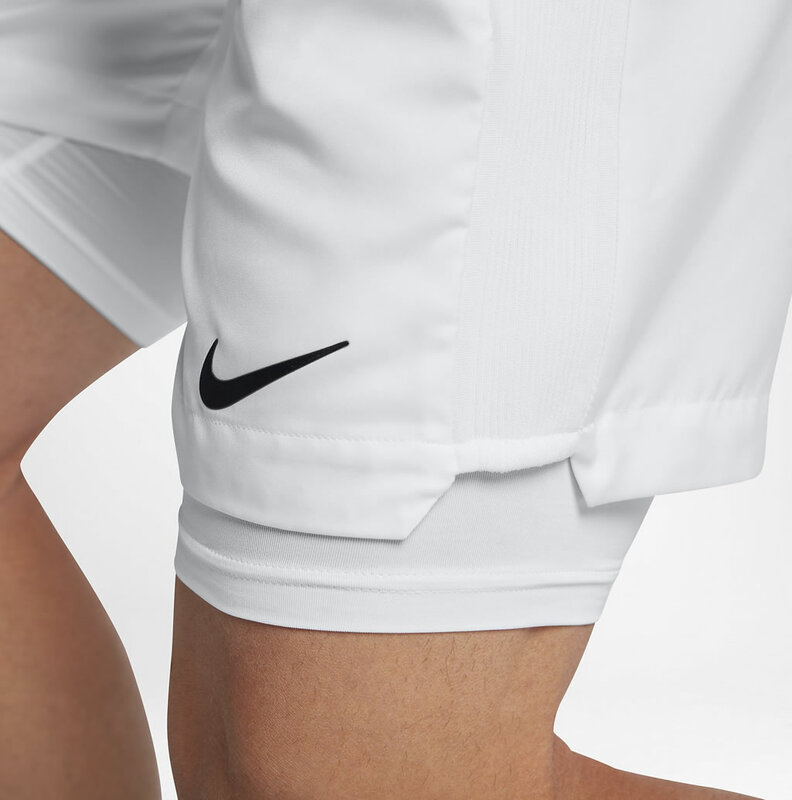 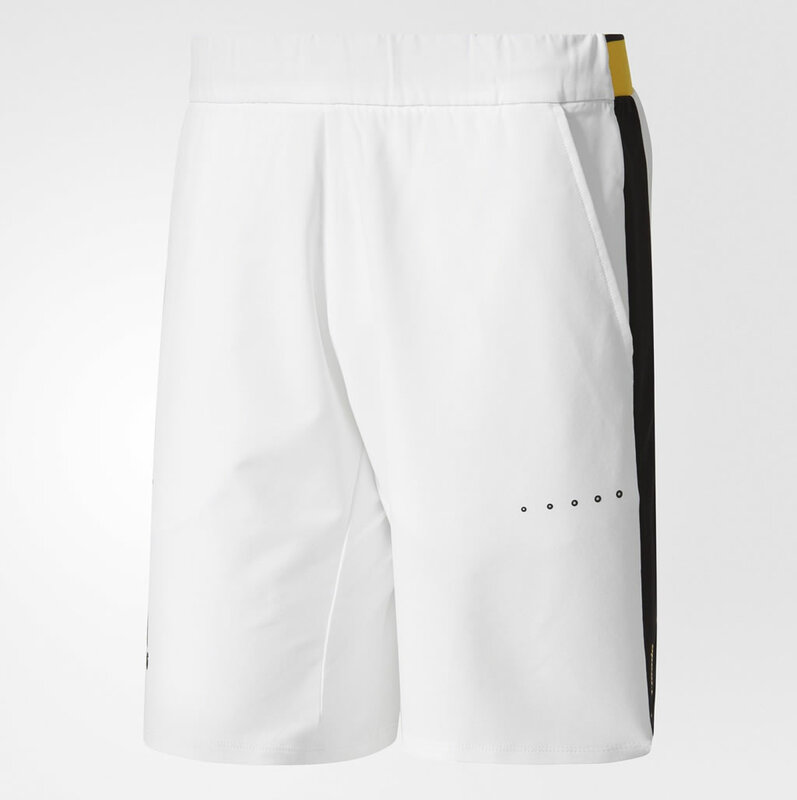 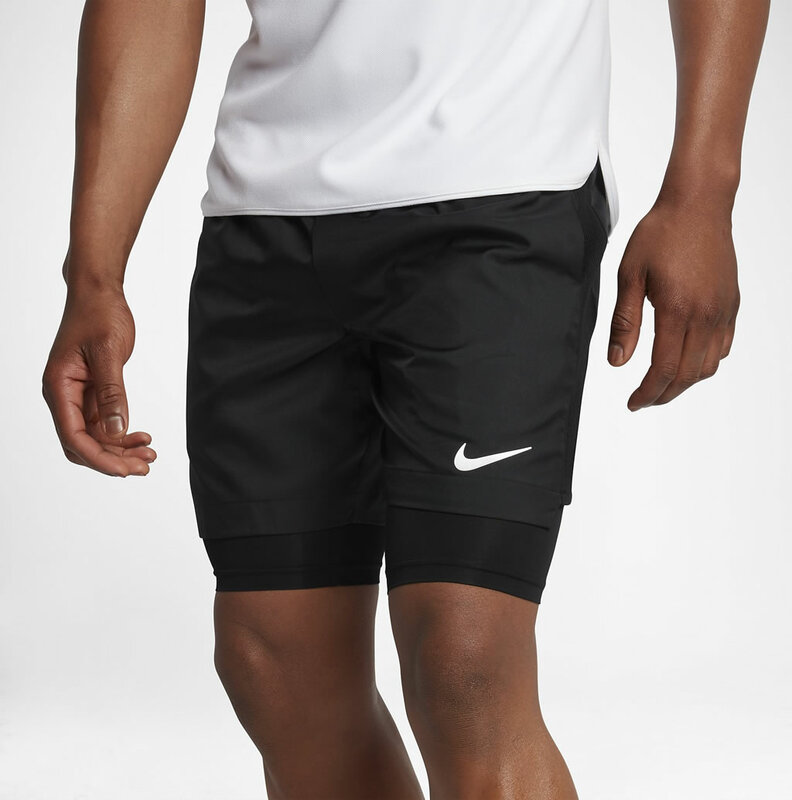 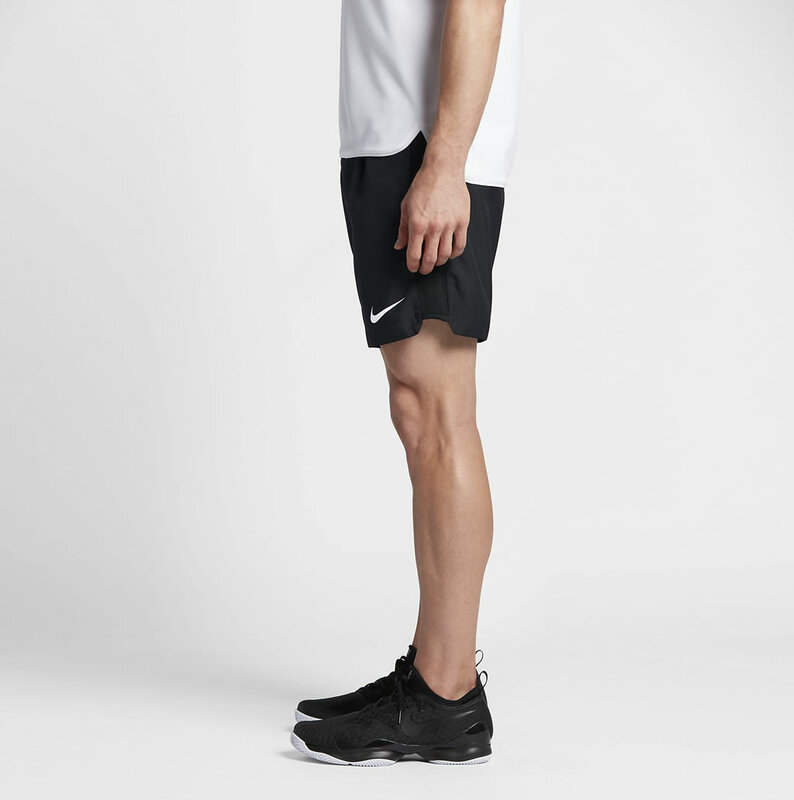 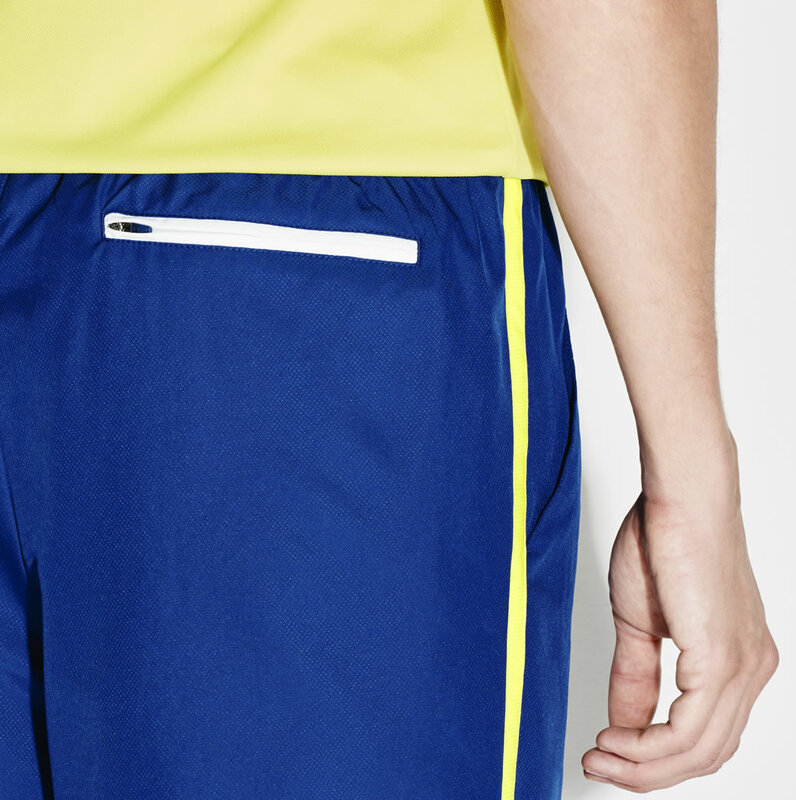 We’re going to end our list with these Nike Baseline Dry Tennis Shorts, which have a slightly longer inseam of 9”. 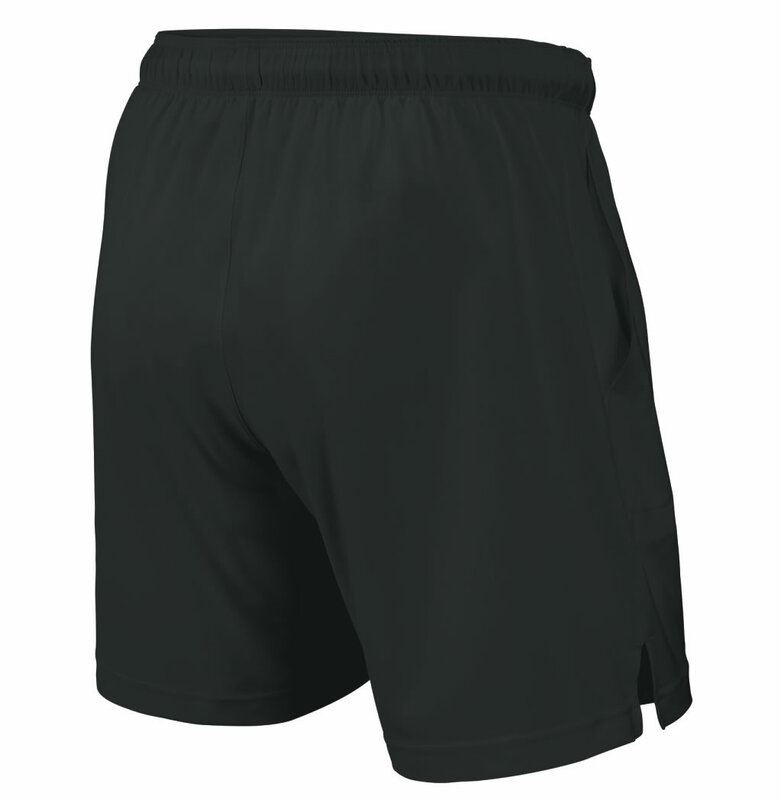 They boast a mesh-lined elastic waistband, as well as Dri-FIT materials that guarantee dryness. 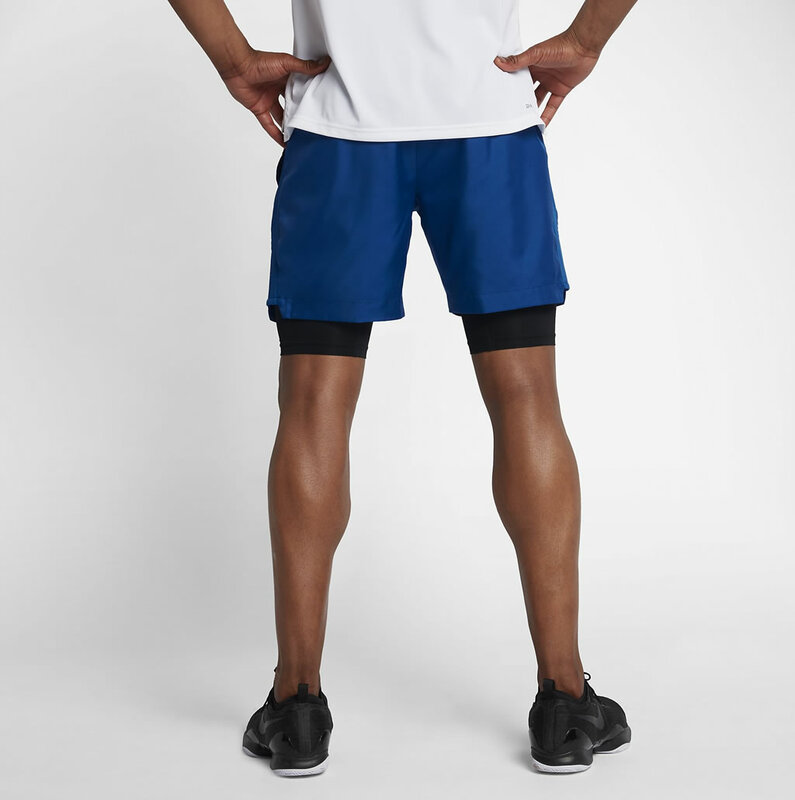 But what really makes these shorts stand out is that they have attached inner compression shorts that offer a comfortable and supportive fit. 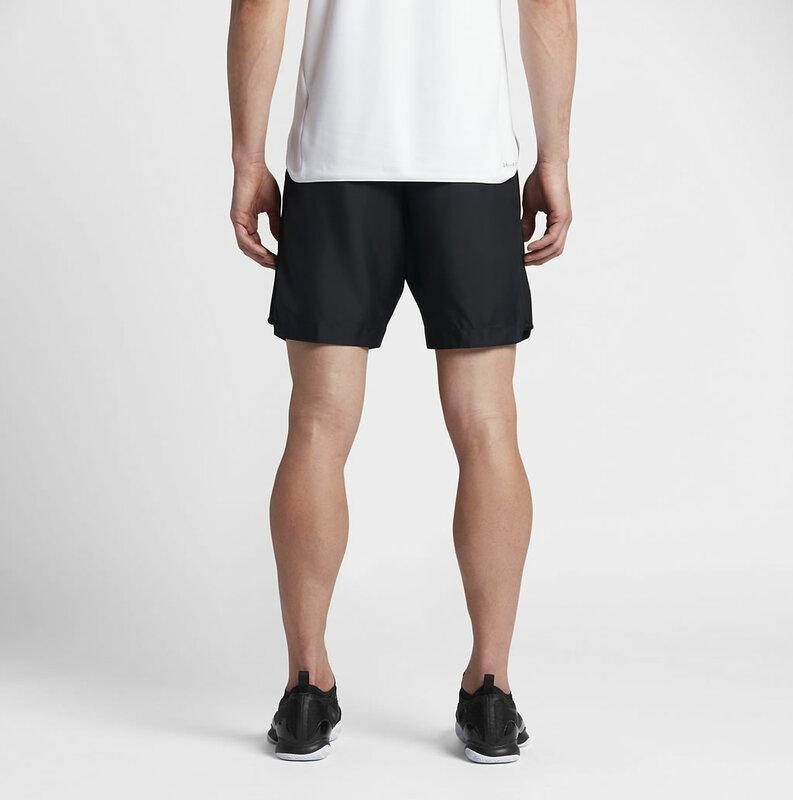 The product comes in several colorways, including White/White/Black, Black/Black/White and Blue Jay/Black/White.